Listing 681 descendants for 8 generations. 10031. Mary Leah1 GROVES was born 30Oct 1836 in Far West, Caldwell, Missouri. She was the daughter of Elisha Hurd GROVES and Lucy SIMMONS. Mary died 12Jul 1912 in Virgin, Washington, Utah, and was buried 14Jul 1912 in Virgin, Washington, Utah. 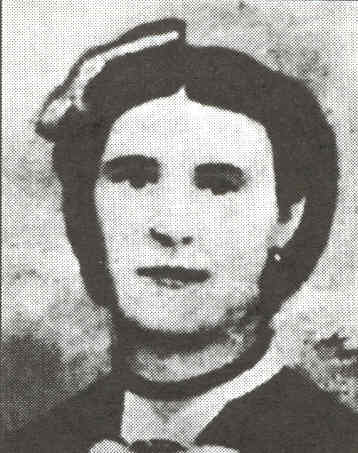 Mary Leah Groves was the eldest of six children in the family of Elisha Hurd Groves and Lucy Simmons. She must have been married to John D. Lee at an early age, for her name appeared in some of the emigrant records as Mary Leah G. Lee. However, the Genealogical Patron Notification Office of the Church of Jesus Christ of Latter-day Saints had records proving Mary Leah was sealed to Lee on December 2, 1852. When couples at that time were sealed outside the Endowment House, they were instructed to return and do it over. So there was another sealing date of March 10, 1857. It was concluded, therefore, that she became his wife in the 1852 marriage. 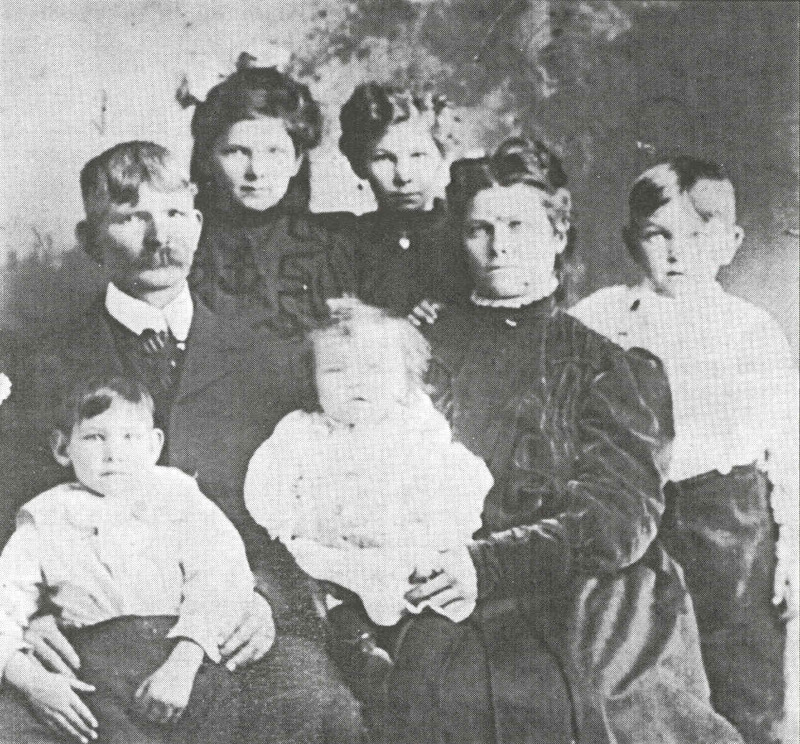 From 1854 to 1867 the couple had seven children, all born in southern Utah. Mary Leah's father was called to be part of the Iron Mission of 1850 led by George A. Smith. His family did not accompany him on his initial trip south but joined him later, probably the following year. During that period, a company led by John D. Lee explored the region south of Cedar City, and, after building a fort on Ash Creek, soon moved to the permanent site that became Fort Harmony. Elisha Groves was one of fifteen men, heads of families, involved in that settlement. Fort Harmony became the Groves' home for the next ten years. It was about the time of the settlement of Harmony that Mary Leah became John D. Lee's fifteenth wife. By 1855 although their quarters in the fort had not been completed, everyone seemed pretty well settled in. The rooms were finished as occasion permitted. Everyone knew that crops at that time were more important than finished walls. Mary Leah's rooms were not plastered until three years later, but the exposed adobes forming the walls were more the norm in those frontier times than a smoothly plastered, neatly finished interior. According to an unwritten but well-defined pecking order, the older wives' quarters would be finished first. While living within the confines of the fort, Mary Leah undoubtedly spent as much time at her parents' residence as she did her own. It would have been reasonable that she help her partially crippled mother with as many household chores to keep the place comfortable and clean, at least until her younger brothers and sisters still at home were more capable. She participated in the Lee household as did other wives, often accompanying her husband on trips north to Cedar City and Parowan, or south to the family property in Washington. In 1854, there was an Indian uprising and the settlers prudently withdrew to Fort Cedar until things settled down. It was during that temporary move that she had her first child. Erastus Franklin was born at Cedar City on March 1, 1854. By 1860 Lee had properties in several directions, both to the north and to the south of the fort. He also had a large parcel five miles to the west at the base of Pine Mountain where he was building a large house. Many of the settlers were living outside the walls of the fort by that year and many were destined to move away from the area following devastating winter storms during the winter of 1860-61. After having been completed only seven years, the adobe walls of the fort literally melted away under the relentless lashing of wind, rain, and snow that the area suffered that winter. The Groves, Elisha and Lucy, moved away to Kanarraville. Because of the devastation left in the wake of the storms, Lee was battling to keep his large family provided with food and shelter. Due to the sheer numbers of people in the family, it was necessary to keep the teams and men constantly working just to keep up with fuel needs for the fires. Six people were required daily to do household chores. John noted in his diary, "I have 60 persons who depend on me for their daily sustenance." Under those circumstances it was not surprising that during that crisis, Mary Leah took her family to Kanarraville to stay with her parents. It was not known how long the Groves remained at Kanarraville. Mary Leah was with them much of the time. In fact her fifth child, Elisha Squire, was born at Kanarraville on July 20, 1862. Her sixth, Mary Serepta, was born back at Harmony on July 23, 1865. Soon after, the Groves moved to Toquerville, where John and Mary Leah took the newborn for a visit with her grandparents. The entry in John's journal regarding that visit was interesting as it revealed much about his and Mary Leah's relationship at that time. His perception was that she had been "raised a pett," and that her going to Toquerville was not just another short-term visit. She wanted so much to be in her parents' home, he wrote, that he finally agreed to her repeated appeals and talked to Elisha and Lucy about such a possibility. Lucy seemed overjoyed that her daughter might be living with them, saying it would add ten years to her life. Both Elisha and Lucy were getting on in years; he was seventy years old and probably in poor health. Lucy was sixty and at a disadvantage because of her crippled leg. Mary Leah, with the children helping, would have been most welcome. Mary Leah was happy to be with her parents to give them the help they needed. John cautioned the Groves, however, that he was doing that only at Mary Leah's insistence and made it clear that she remained his wife. He would continue to provide food and other necessities for his family there. In subsequent visits, John wrote that Mary Leah became very cool towards him as though angry about something. Unfortunately, we do not know the full story, particularly her version, but from that time on, personal relations between the two declined, going from bad to worse. In 1867, Elisha died of old age and was buried in the Toquerville cemetery. After his burial, John visited the family, noting in his journal, that Mary Leah was "in the dark and under a heavy trial." That statement was in reference to her attitude toward him, rather than grief for the passing of her father. Stake President Snow, at St. George, became aware of the serious rift between the two and asked Bishop Willis of Toquerville Ward to try to help them resolve their differences. After meeting with them, the Bishop advised Mary Leah to return with her children to her husband. She pointed out, though, that she could not go back to Harmony, leaving her mother alone, and that she refused to do so as long as she needed help. Mary's last child was born in October 1868, however. We could not blame Mary Leah for that decision. If she left at that time, the crippled mother would be alone and would have to rely almost completely on the benevolence of her neighbors and members of the Toquerville Ward for her daily needs. On the other hand, John felt strongly about Mary Leah and wanted to keep her in the family. He went back to Harmony and started construction on a "dwelling house...designed for Mary Leah...provided she feels disposed to occupy it...." At another time during a visit to Toquerville, he told her about the house, assuring her that he could care for her needs. Finally, in an effort to force the issue, he told her that if she insisted on staying in Toquerville, he would consider it an intolerable situation and would no longer support her. Mary Leah's response indicated that she was firm in her mind as to the direction she would or would not go. The real reason might very well have been her disenchantment with the concept of plurality of wives, that she had had enough and was purposely creating a situation that would afford excuse for an exit. This, however, is an assumption of our part. Later in his journal, John expressed little hope of Mary's returning, particularly while her mother remained alive. Mary Leah's name appeared nowhere in his journal thereafter. It was not known whether he ever saw her but he made no record of such a meeting. Lee wrote of his excommunication from the church the following year. According to church procedure at that time, Mary Leah was free to choose whether or not the marital arrangement with him would continue. She chose to be divorced and shortly afterward married Daniel Matthews. 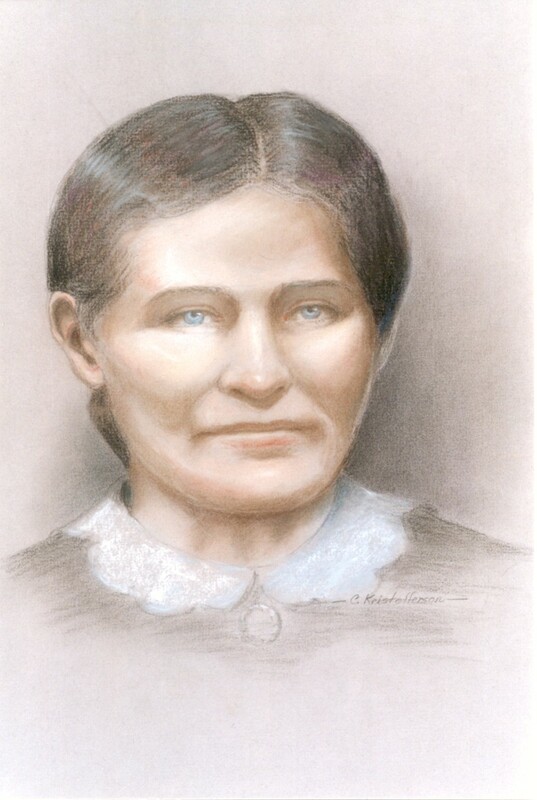 Mary Leah remained in the Toquerville area until her mother died on July 20, 1884. She herself lived another thirty years, raising her seven children as well as three more by her second husband. She passed away at the age of seventy-six and was buried in the Virgin Cemetery not far from Toquerville. She married (1) John Doyle LEE 2Dec 1852 in Cedar City, Iron, Utah. + 10032.Mi.Erastus Franklin LEE, born 1Mar 1854, died 4Nov 1914. + 10153.Fii.Mariam Leah LEE, born 13Apr 1856, died 9Jan 1942. + 10422.Fiii.Lucy Olive LEE, born 15Apr 1858, died 30Jan 1922. + 10482.Miv.John Hurd LEE, born 27Mar 1860, died 18Sep 1938. + 10501.Mv.Elisha Squire LEE, born 20Jul 1862, died 15Mar 1937. + 10670.Fvi.Mary Sarepta LEE, born 23Jul 1865, died 23Nov 1897. + 10690.Mvii.Jacob LEE, born 28Oct 1868, died 1Feb 1947. Mary married (2) Daniel Willis MATTHEWS. 10032. Erastus Franklin2 LEE (Mary1) was born 1Mar 1854 in Cedar City, Iron, Utah. Erastus died 4Nov 1914 in Hurricane, Washington, Utah, and was buried 6Nov 1914 in Hurricane, Washington, Utah. He married Harriet Elizabeth STRATTON 4Oct 1884 in Virgin, Washington, Utah. She was born 26Mar 1868 in Virgin, Washington, Utah. She was the daughter of James Albert STRATTON and Emily Henrietta Amanda GARDINER. Harriet died 15Apr 1943 in Hurricane, Washington, Utah, and was buried 17Apr 1943 in Hurricane, Washington, Utah. + 10033.Fi.Lucille LEE, born 1Jul 1890. + 10095.Mii.Franklin LEE, born 16Jun 1892. 10130.Miii.Hector LEE, born 10Apr 1894 in Virgin, Washington, Utah, died in infancy Apr 1894. 10131.Fiv.Vera LEE, born 17Sep 1895 in Virgin, Washington, Utah. 10132.Fv.Esther LEE, born 4Nov 1897 in Virgin, Washington, Utah. + 10133.Fvi.Minnie LEE, born 11Feb 1900. + 10148.Fvii.Ida LEE, born 9Jan 1902. 10150.Mviii.Powell LEE, born 14Oct 1904 in Hurricane, Washington, Utah. He married Cleo TWITCHELL. 10151.Fix.Glenys LEE, born 8Mar 1908 in Hurricane, Washington, Utah. 10152.Mx.Victor LEE, born 24Sep 1910 in Hurricane, Washington, Utah. 10033. Lucille3 LEE (Erastus2, Mary1) was born 1Jul 1890 in Virgin, Washington, Utah. She married James A. TWEEDIE. 10034. Gwendolyn4 TWEEDIE (Lucille3, Erastus2, Mary1). She married Darvel Alonzo SAMPSON. + 10035.Fi.Bonita Jean SAMPSON, born 25Nov 1932. + 10050.Mii.Clayton Darvel SAMPSON, born 26Nov 1936. + 10060.Fiii.Gayle Darlene SAMPSON, born 2Oct 1942. + 10070.Fiv.Mary Alice SAMPSON, born 20Sep 1950. 10035. Bonita Jean5 SAMPSON (Gwendolyn4, Lucille3, Erastus2, Mary1) was born 25Nov 1932 in Cedar City, Iron, Utah. She married Morris Vern BELL. He was born 7Mar 1921 in Hillman, Montmorency, Michigan. + 10036.Mi.Darvel Vern BELL, born 24Aug 1952. 10040.Mii.Ray Howard BELL, born 3Jun 1953 in Henderson, Clark, Nevada. + 10041.Fiii.Darlene Kay BELL, born 22Jun 1954. 10049.Fiv.Linda Lee BELL, born 10Aug 1957 in Henderson, Clark, Nevada. 10036. Darvel Vern6 BELL (Bonita5, Gwendolyn4, Lucille3, Erastus2, Mary1) was born 24Aug 1952 in Henderson, Clark, Nevada. He married Lanette M. POOL. She was born 22Apr 1955 in Las Vegas, Clark, Nevada. 10037.Mi.Darvel Seth BELL, born 14Aug 1972 in Las Vegas, Clark, Nevada. 10038.Mii.Jared Vern BELL, born 22Oct 1977 in Indio, Riverside, California. 10039.Fiii.Neva Marvel BELL, born 27Jul 1982 in Indio, Riverside, California. 10041. Darlene Kay6 BELL (Bonita5, Gwendolyn4, Lucille3, Erastus2, Mary1) was born 22Jun 1954 in Henderson, Clark, Nevada. She married (1) Stephen E. WALKER. + 10042.Fi.Andrea Lee WALKER, born 9Jun 1970. Darlene married (2) Patrick Olin POINT. + 10045.Fii.Kathryn Jean POINT, born 4Jul 1974. 10048.Fiii.Charlene Ann POINT, born 25Apr 1978 in Las Vegas, Clark, Nevada. Darlene married (3) Ernest HAGEWOOD. He was born 27Jan 1949 in Santa Fe, Santa Fe, New Mexico. 10042. Andrea Lee7 WALKER (Darlene6, Bonita5, Gwendolyn4, Lucille3, Erastus2, Mary1) was born 9Jun 1970 in Las Vegas, Clark, Nevada. She married (1) Brady Brian MILLER, III 18Nov 1987. 10043.Mi.Gregory Gordon MILLER, born 24Dec 1987 in Havre De Grace, Harvord, Maryland. Andrea married (2) Jason Todd PREEO. He was born 26Apr 1970 in Dennison, Iowa. 10044.Mii.Justin Cameron PREEO, born 12Feb 1992 in Las Vegas, Clark, Nevada. 10045. Kathryn Jean7 POINT (Darlene6, Bonita5, Gwendolyn4, Lucille3, Erastus2, Mary1) was born 4Jul 1974 in Indio, Riverside, California. She married James Carl BUCKLEY. He was born 12Jan 1972 in Henderson, Clark, Nevada. 10046.Mi.Ryan James BUCKLEY, born 11Jan 1993 in Las Vegas, Clark, Nevada. 10047.Mii.Joshua Alonzo BUCKLEY, born 1Jun 1995 in Las Vegas, Clark, Nevada. 10050. Clayton Darvel5 SAMPSON (Gwendolyn4, Lucille3, Erastus2, Mary1) was born 26Nov 1936 in Cedar City, Iron, Utah. He married Maureen Marie HALL. She was born 27May 1939 in Yakima, Yakima, Washington. 10051.Mi.Clay Dennis SAMPSON, born 25Oct 1958 in Las Vegas, Clark, Nevada. 10052.Mii.Terry SAMPSON, born 12Nov 1959 in Las Vegas, Clark, Nevada, died in infancy 12Nov 1959 in Las Vegas, Clark, Nevada. 10053.Miii.Ren Darvel SAMPSON, born 18May 1961 in Las Vegas, Clark, Nevada. + 10054.Miv.Lon Donald SAMPSON, born 5May 1962. + 10057.Fv.Wendy Sue SAMPSON, born 11Sep 1963. 10054. Lon Donald6 SAMPSON (Clayton5, Gwendolyn4, Lucille3, Erastus2, Mary1) was born 5May 1962 in Las Vegas, Clark, Nevada. He married Laurie. She was born 6Sep . 10055.Fi.Cimberley SAMPSON, born 13Dec 1989 in Las Vegas, Clark, Nevada. 10056.Mii.Dustin Clayton SAMPSON, born 18Apr . 10057. Wendy Sue6 SAMPSON (Clayton5, Gwendolyn4, Lucille3, Erastus2, Mary1) was born 11Sep 1963 in Las Vegas, Clark, Nevada. She married Jeff GRIFFIN. 10058.Mi.Joshua Edwin GRIFFIN, born 14Jan 1981 in Las Vegas, Clark, Nevada. 10059.Fii.Kayla Marie GRIFFIN, born 19May 1992 in Las Vegas, Clark, Nevada. 10060. Gayle Darlene5 SAMPSON (Gwendolyn4, Lucille3, Erastus2, Mary1) was born 2Oct 1942 in Las Vegas, Clark, Nevada. She married Joe Herbert HOGAN. He was born 3Dec 1934 in Conway, Faulkner, Arkansas. + 10061.Fi.Kelly Marie HOGAN, born 11Aug 1960. + 10065.Mii.Joe Stanford HOGAN, born 30Nov 1961. 10061. Kelly Marie6 HOGAN (Gayle5, Gwendolyn4, Lucille3, Erastus2, Mary1) was born 11Aug 1960 in Las Vegas, Clark, Nevada. She married Randy MARCHELLO. He was born 5Dec 1957. 10062.Mi.Dustin T. MARCHELLO, born 25Jul 1977 in Las Vegas, Clark, Nevada. 10063.Fii.Rustin M. MARCHELLO, born 25Jul 1977 in Las Vegas, Clark, Nevada. 10064.Fiii.Adrienne Marie MARCHELLO, born 29Dec 1979 in Las Vegas, Clark, Nevada. 10065. Joe Stanford6 HOGAN (Gayle5, Gwendolyn4, Lucille3, Erastus2, Mary1) was born 30Nov 1961 in Conway, Faulkner, Arkansas. He married Rosemarie CLEMENTS. She was born 3Dec 1963. 10066.Mi.Tami Lynn HOGAN, born 29Aug 1979. 10067.Mii.Aaron Jacob HOGAN, born 15Jul 1984 in Las Vegas, Clark, Nevada. 10068.Miii.Joseph Darvel HOGAN, born 13Dec 1986 in Las Vegas, Clark, Nevada. 10069.Fiv.Brittany Gayle HOGAN, born 15Oct 1989 in Las Vegas, Clark, Nevada. 10070. Mary Alice5 SAMPSON (Gwendolyn4, Lucille3, Erastus2, Mary1) was born 20Sep 1950 in Overton, Clark, Nevada. She married (1) Alan B. LOWRY. He was born 5Nov 1953 in Rexburg, Madison, Idaho. + 10071.Fi.Aleena Christine LOWRY, born 13Jul 1970. + 10074.Fii.Betsy Mae LOWRY, born 9Mar 1973. 10076.Fiii.Ellen Brook LOWRY, born 9Jan 1979 in Las Vegas, Clark, Nevada. 10077.Fiv.Dawn Suzanne LOWRY, born 30Sep 1980 in Las Vegas, Clark, Nevada. Mary married (2) Doyle LARKIN. He was born 10Nov 1945. 10071. Aleena Christine6 LOWRY (Mary5, Gwendolyn4, Lucille3, Erastus2, Mary1) was born 13Jul 1970 in Henderson, Clark, Nevada. She married Kenny Alan CATELLO. He was born 11Oct 1962 in San Jose, Santa Clara, California. 10072.Mi.Nathan Sage CATELLO, born 1Aug 1986 in Las Vegas, Clark, Nevada. 10073.Mii.Daniel Alan CATELLO, born 28Apr 1989 in Las Vegas, Clark, Nevada. 10074. Betsy Mae6 LOWRY (Mary5, Gwendolyn4, Lucille3, Erastus2, Mary1) was born 9Mar 1973 in St. George, Washington, Utah. She married Brian Edward COLLINS. He was born 2Sep 1973 in Las Vegas, Clark, Nevada. 10075.Fi.Brennan Thomas COLLINS, born 2Oct 1991 in Las Vegas, Clark, Nevada. 10078. Shirley5 SAMPSON (Gwendolyn4, Lucille3, Erastus2, Mary1). She married Bill FOX. + 10079.Fi.Cynthia A. FOX, born 18Apr 1958. + 10083.Fii.Susan FOX, born 7Oct 1959. + 10086.Miii.John William FOX, born 11Feb 1963. 10079. Cynthia A.6 FOX (Shirley5, Gwendolyn4, Lucille3, Erastus2, Mary1) was born 18Apr 1958 in Las Vegas, Clark, Nevada. She married Darrel P. NICKOLAISEN. He was born 28Oct 1956 in Montpelier, Bear Lake, Idaho. 10080.Fi.Terressa NICKOLAISEN, born 1Jul 1980 in Provo, Utah, Utah. 10081.Mii.Darrel Eric NICKOLAISEN, born 14Feb 1984 in Apple Valley, San Bernardino, California. 10082.Fiii.Elise NICKOLAISEN, born 22Jan 1986 in Apple Valley, San Bernardino, California. 10083. Susan6 FOX (Shirley5, Gwendolyn4, Lucille3, Erastus2, Mary1) was born 7Oct 1959 in Las Vegas, Clark, Nevada. She married Ralph Dan ASHWORTH. He was born 5Jun 1961 in Salt Lake City, Salt Lake, Utah. 10084.Mi.Jason ASHWORTH, born 4Nov 1984 in Apple Valley, San Bernardino, California. 10085.Mii.Logan ASHWORTH, born 15Sep 1995 in Apple Valley, San Bernardino, California. 10086. John William6 FOX (Shirley5, Gwendolyn4, Lucille3, Erastus2, Mary1) was born 11Feb 1963 in Las Vegas, Clark, Nevada. He married Carolyn STEVENSON. She was born 18Dec 1957 in Reno, Washoe, Nevada. 10087.Fi.Eliza Jane FOX, born 4Feb 1993 in Las Vegas, Clark, Nevada. 10088.Fii.Hannah Larayne FOX, born 24Dec 1994. 10089. Janet Rae4 TWEEDIE (Lucille3, Erastus2, Mary1). She married Daniel Leon CASSELS. + 10090.Fi.Donna Rae CASSELS, born 1Apr 1953. 10090. Donna Rae5 CASSELS (Janet4, Lucille3, Erastus2, Mary1) was born 1Apr 1953 in Las Vegas, Clark, Nevada. She married (1) Mark Hugh BRADLEY. 10091.Fi.Bonnie Rae BRADLEY, born 30Apr 1975 in Santa Cruz, Santa Cruz, California. 10092.Mii.Mark Daniel BRADLEY, born 22Nov 1977 in Las Vegas, Clark, Nevada. 10093.Miii.Jared Michael BRADLEY, born 15Apr 1980 in Las Vegas, Clark, Nevada. Donna married (2) Timothy Paul McDANIEL. He was born 28Apr 1954 in West Palm Beach, Palm Beach, Florida. 10094.Fiv.Rebecca Rae McDANIEL, born 2Aug 1992 in Las Vegas, Clark, Nevada. 10095. Franklin3 LEE (Erastus2, Mary1) was born 16Jun 1892 in Virgin, Washington, Utah. Franklin had little chance to enjoy his boyhood home since the Virgin River was gradually eroding away the rich farm land. It drove his family into Hurricane where they lived in a tent while a new home was being built. When Franklin's father died, Franklin took over as head of the family until at the age of twenty-eight he married Mable Morgan. They made their home in Hurricane. As a farmer, fruit grower and dairyman he was successful. He had little worldly goods, but stored his treasures in heaven by serving others. He married Mable MORGAN 8Jun 1920 in St. George, Washington, Utah. She was born 26Jun 1901 in Sunnyside, Carbon, Utah. She is the daughter of Richard MORGAN and Margaret Cherry Givens RAMSEY. + 10096.Fi.Stella LEE, born 9Mar 1921. + 10110.Fii.Margaret LEE, born 3Apr 1923. + 10115.Fiii.Elizabeth LEE, born 25Oct 1925. + 10118.Miv.Richard Morgan LEE, born 23Apr 1928. + 10120.Mv.Afton Franklin LEE, born 22May 1930. + 10125.Mvi.Wayne Glenn LEE, born 30Sep 1932. + 10127.Fvii.Dorothy LEE, born 26May 1936. 10129.Fviii.Dixie LEE, born 16Oct 1938 in Hurricane, Washington, Utah. 10096. Stella4 LEE (Franklin3, Erastus2, Mary1) was born 9Mar 1921 in Hurricane, Washington, Utah. She married Alvin Lloyd PRATER 19Jul 1941 in Las Vegas, Clark, Utah. He was born 19Sep 1922 in Bogata, Red River, Texas. He is the son of Arthur Franklin PRATER and Claudia May WALKER. + 10097.Fi.Betty Jean PRATER, born 22May 1942. 10103.Mii. ________ PRATER, born 26Aug 1943 in Hurricane, Washington, Utah, died in infancy 26Aug 1943 in Hurricane, Washington, Utah. 10104.Miii.Alvin Lloyd PRATER, Jr., born 22Nov 1946 in Hurricane, Washington, Utah. + 10105.Miv.Franklin Lee PRATER, born 15Feb 1961. 10097. Betty Jean5 PRATER (Stella4, Franklin3, Erastus2, Mary1) was born 22May 1942 in Hurricane, Washington, Utah. She married William Warren SAX 30Apr 1960 in West Sacramento, Sacramento, California. He was born 12Apr 1939 in Missoula, Missoula, Montana. He is the son of John Joseph SAX and Eva Marie SAGE. + 10098.Mi.Warren Scott SAX, Sr., born 28Aug 1961. 10101.Mii.Brian Joseph SAX, born 27Nov 1964 in Sacramento, Sacramento, California. 10102.Miii.Darren Keith SAX, born 26Sep 1966 in Sacramento, Sacramento, California. 10098. Warren Scott6 SAX, Sr. (Betty5, Stella4, Franklin3, Erastus2, Mary1) was born 28Aug 1961 in Sacramento, Sacramento, California. He married Dianne Eva PETERSON 25Jul 1987 in Sacramento, Sacramento, California. She was born 10Aug 1962 in San Juan, Puerto Rico. She is the daughter of Julius Grant PETERSON and Betty Lou McCLOUD. 10099.Mi.Warren Scott SAX, Jr., born 20May 1992 in Roseville, Placer, California. 10100.Fii.Shelby Jean SAX, born 8Nov 1994 in Roseville, Placer, California. 10105. Franklin Lee5 PRATER (Stella4, Franklin3, Erastus2, Mary1) was born 15Feb 1961 in Sacramento, Sacramento, California. He married Teresa JONES 15Jun 1984 in Idaho Falls, Bonneville, Idaho. She was born 9May 1964 in Pocatello, Bannock, Idaho. She is the daughter of E. Harold JONES and Ella Cleone MONSON. 10106.Fi.Megan PRATER, born 30Aug 1986 in Logan, Cache, Utah. 10107.Mii.Ryan Franklin PRATER, born 3Jun 1988 in Sandy, Salt Lake, Utah. 10108.Fiii.McKell PRATER, born 29Oct 1990 in Sandy, Salt Lake, Utah. 10109.Fiv.Melissa PRATER, born 19May 1993 in Sandy, Salt Lake, Utah. 10110. Margaret4 LEE (Franklin3, Erastus2, Mary1) was born 3Apr 1923 in Hurricane, Washington, Utah. She married (1) Hubert Richard HERRINGTON 31Aug 1940. 10111.Mi.Richard Lee HERRINGTON, born 29Mar 1941 in Hurricane, Washington, Utah. Margaret married (2) Elvin SHERIDAN 20Jun 1942. 10112.Mii.William Ray SHERIDAN, born 4Jul 1943 in St. George, Washington, Utah, died in infancy 5Jul 1943 in St. George, Washington, Utah. Margaret married (3) Chris BECKER about 1944 in Las Vegas, Clark, Nevada. 10113.Fiii.Linda BECKER, born 23Oct 1945 in Las Vegas, Clark, Nevada. 10114.Fiv.Lou Ann BECKER, born 19Apr 1947 in Hurricane, Washington, Utah. 10115. Elizabeth4 LEE (Franklin3, Erastus2, Mary1) was born 25Oct 1925 in Hurricane, Washington, Utah. She married Rodney Cannon BURGESS 25Nov 1943 in Las Vegas, Clark, Nevada. He was born 9Mar 1922 in St. George, Washington, Utah. 10116.Mi.Robert Clive BURGESS, born 5Apr 1945 in Hurricane, Washington, Utah. 10117.Mii.Rodney Cannon BURGESS, born 19Dec 1948 in St. George, Washington, Utah. 10118. Richard Morgan4 LEE (Franklin3, Erastus2, Mary1) was born 23Apr 1928 in Hurricane, Washington, Utah. He married Rosemary SPEARS 22Aug 1950 in St. George, Washington, Utah. She was born 26Dec 1922 in Kansas City, Jackson, Missouri. 10119.Mi.Kevin Richard LEE, born 23Apr 1957 in St. George, Washington, Utah. 10120. Afton Franklin4 LEE (Franklin3, Erastus2, Mary1) was born 22May 1930 in Hurricane, Washington, Utah. He married Karla Jean HUGHES 27Jan 1952 in Hurricane, Washington, Utah. She was born 23Mar 1933 in Mesquite, Clark, Nevada. 10121.Mi.Terry Afton LEE, born 26Sep 1952. 10122.Fii.Kerry Afton LEE, born 26Sep 1952. 10123.Fiii.Lynette LEE, born 4Oct 1953. 10124.Fiv.DeLyn LEE, born 24Jun 1955. 10125. Wayne Glenn4 LEE (Franklin3, Erastus2, Mary1) was born 30Sep 1932 in Hurricane, Washington, Utah. He married Nelda HIRSCHI 13Dec 1951. She was born 16Dec 1932 in Rockville, Washington, Utah. 10126.Fi.Connie Ray LEE, born 16Aug 1952. 10127. Dorothy4 LEE (Franklin3, Erastus2, Mary1) was born 26May 1936 in Hurricane, Washington, Utah. She married Hart Verdon FORBUSH 22Jan 1955. He was born 15Mar 1924. 10128.Mi.Russell Franklin FORBUSH, born 17Jan 1956. 10133. Minnie3 LEE (Erastus2, Mary1) was born 11Feb 1900 in Virgin, Washington, Utah. She married George Samuel DODGE. He was born 21Nov 1893 in St. George, Washington, Utah. He is the son of Samuel Clark DODGE and Lottie Agnes CALKINS. 10134.Fi.Rowena DODGE, born 13Apr 1919 in Hurricane, Washington, Utah. She married Oliver A. MORRIS. 10135.Mii.Franklin Samuel DODGE, born 11Feb 1922 in Toquerville, Washington, Utah, died in infancy 11Feb 1922 in Toquerville, Washington, Utah. + 10136.Fiii.Elma DODGE, born 1Sep 1923. + 10139.Miv.Lee W. DODGE, born 11Jun 1925. 10144.Mv.Dariold Lee DODGE, born 3May 1927 in Hurricane, Washington, Utah. + 10145.Mvi.William Leon DODGE, born 7Nov 1934. 10147.Mvii.Donald DODGE, born 21Feb 1937 in Las Vegas, Clark, Nevada, died in childhood 19Nov 1946. 10136. Elma4 DODGE (Minnie3, Erastus2, Mary1) was born 1Sep 1923 in Hurricane, Washington, Utah. She married Max Loyd CROWSON 31Oct 1942 in Las Vegas, Clark, Nevada. He was born 7Sep 1921 in Blackwell, Kay, Oklahoma. He is the son of Hugh Otis CROWSON and Norma Rosaland LEWIS. 10137.Mi.Larry Max CROWSON, born 26Mar 1946 in Tulsa, Tulsa, Oklahoma. 10138.Mii.Donald Leon CROWSON, born 18Oct 1952 in Tulsa, Tulsa, Oklahoma. 10139. Lee W.4 DODGE (Minnie3, Erastus2, Mary1) was born 11Jun 1925 in Kanarraville, Iron, Utah. He married Pearl NELSON 22Jun 1951 in Mesa, Maricopa, Arizona. She was born 11May 1925 in San Elizario, Texas. She is the daughter of Claybourne Edward NELSON and Andria GARCIA. 10140.Fi.Dolores DODGE, born 6Apr 1952 in Las Vegas, Clark, Nevada. 10141.Mii.Donald Lee DODGE, born 4Mar 1953 in Las Vegas, Clark, Nevada. 10142.Fiii.Patricia DODGE, born 30Dec 1954 in Las Vegas, Clark, Nevada. 10143.Fiv.Linda DODGE, born 25Nov 1955 in Las Vegas, Clark, Nevada. 10145. William Leon4 DODGE (Minnie3, Erastus2, Mary1) was born 7Nov 1934 in Boulder City, Clark, Nevada. He married Mary Nora HOWELL 12Dec 1955. She was born 21Jun 1938 in Boise, Ada, Idaho. She is the daughter of Jasen Elijhu HOWELL and Kate Virginia REID. 10146.Fi.Roeshell Annette DODGE, born 28Jun 1956 in Las Vegas, Clark, Nevada. 10148. Ida3 LEE (Erastus2, Mary1) was born 9Jan 1902 in Virgin, Washington, Utah. She married Daniel PHILLIPS. 10149.Fi.Geraldine PHILLIPS, born 21Nov 1922 in Kenilworth, Carbon, Utah. 10153. Mariam Leah2 LEE (Mary1) was born 13Apr 1856 in Old Harmony, Washington, Utah. Mariam died 9Jan 1942 in Virgin, Washington, Utah, and was buried 11Jan 1942 in Virgin, Washington, Utah. Mariam met Henry Cornelius, Sr. while he was working in the mines in Silver Reef, Washington, Utah. The story is told that the first time he saw her he remarked, "There is the girl I am going to marry." He is the only one of his family who joined the LDS Church. Their first home was in Silver Reef, now a ghost town about 18 miles northeast of St. George, near the town of Leeds. Silver Reef was then a flourishing mining town of 1000 inhabitants, a bank, a brewery, a newspaper and other businesses. Here Henry, Jr. and Mary Rosalie were born. Then they moved to Virgin, Washington, Utah where James and John Martin were born. Henry, Sr. and Mariam were separated while the children were small and he moved to Silver Reef for a time and then to Eureka, Utah where he was again employed in the mines. Some years later he became seriously ill and sent a friend to ask Mariam if she would bring the children to see him. Because of the great distance by wagon she did not go, a decision she later regretted, and Henry died without seeing his family. Mariam supported her small family by operating a store in Virgin where she reared her children, building shelves in her small house while Henry, Jr. would pick up supplies at Lund from the trains to supply her little store. In later years Rosalie moved to Hurricane, and from there Rosalie and her family moved to Cedar City, Utah where she and her husband are buried. James and Henry, Jr. are buried in the cemetery in Virgin. Henry Cornelius, Jr. was a contractor, rancher, store keeper, & hotel keeper along with his wife, Emma. They lived in Virgin until just before his death when they moved to Hurricane. She married (1) Henry CORNELIUS, Sr. 4Aug 1878 in Virgin, Washington, Utah. He was born 8Feb 1842 in Redruth, Cornwall, England. He was the son of John Martin CORNELIUS and Mary Grace WILLIAMS. Henry, Sr. died 8Jul 1895 in Eureka, Juab, Utah, and was buried 10Jul 1895 in Eureka, Juab, Utah. + 10154.Mi.Henry CORNELIUS, Jr., born 19Aug 1879, died 7Sep 1951. + 10344.Fii.Mary Rosalie CORNELIUS, born 9Jun 1881, died 25Jun 1954. 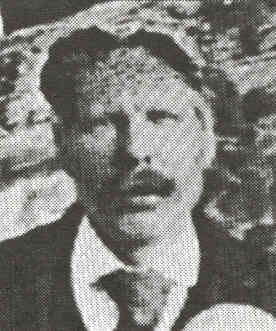 10393.Miii.John Martin CORNELIUS, born 18 or 26 Dec 1885 in Virgin, Washington, Utah, died in infancy 6 or 16 Jan 1886. + 10394.Miv.James Elisha CORNELIUS, born 5Dec 1886, died 14Apr 1957. Mariam married (2) Ezekial PRATT. He was born about 1856. 10154. Henry3 CORNELIUS, Jr. (Mariam2, Mary1) was born 19Aug 1879 in Silver Reef, Washington, Utah. Henry, Jr. died 7Sep 1951 in Hurricane, Washington, Utah, and was buried 10Sep 1951 in Virgin, Washington, Utah. He married Emma BRADSHAW 1May 1914 in St. George, Washington, Utah. She was born 1Oct 1889 in Woodruff, Navajo, Arizona. She was the daughter of Edward Elsey BRADSHAW and Mary Ellen OWENS. Emma died 30Sep 1971 in San Pedro, Los Angeles, California, and was buried 4Oct 1971 in Virgin, Washington, Utah. 10155.Mi.Robert Earl McLaws CORNELIUS, born 29Apr 1907 in Colonia Juarez, Chihuahua, Mexico, died in infancy 2Apr 1908 in Colonia Juarez, Chihuahua, Mexico. + 10156.Mii.Elmer Delmar McLaws CORNELIUS, born 1Nov 1908, died 30Oct 1974. + 10174.Miii.Horald McLaws CORNELIUS, born 26Jul 1910. 10246.Fiv.Delsa McLaws CORNELIUS, born 18Mar 1912 in Colonia Morellos, Sonora, Mexico, died in childhood 13Dec 1917 in Virgin, Washington, Utah, and was buried in Virgin, Washington, Utah. + 10247.Mv.Horace Henry CORNELIUS, born 7Mar 1915. + 10254.Fvi.Nelda May CORNELIUS, born 16May 1917. 10293.Mvii.Edward Harry CORNELIUS, born 30May 1919 in Virgin, Washington, Utah. He married Gladys Louise GILBERTSON 10Feb 1944 in Reno, Washoe, Nevada. She was the daughter of Gustave Thorwald GILBERTSON and Gulbord Eugene JOHNSON. Edward died 26Apr 1944. + 10294.Mviii.Russell B. CORNELIUS, born 9Sep 1921. + 10317.Fix.Corinne CORNELIUS, born 13Sep 1926. + 10338.Mx.Kenneth CORNELIUS, born 15Mar 1929. 10156. Elmer Delmar McLaws4 CORNELIUS (Henry, Jr.3, Mariam2, Mary1) was born 1Nov 1908 in Colonia Juarez, Chihuahua, Mexico. Elmer died 30Oct 1974 in St. George, Washington, Utah, and was buried in Virgin, Washington, Utah. He married Myrtle Lela WILCOX 24Aug 1931 in Parowan, Iron, Utah. She was born 8Feb 1911 in Mesa, Maricopa, Arizona. She was the daughter of Silas Henry WILCOX and Janetty Mae MATTHEWS. Myrtle died 1Jun 1995 in Brigham City, Box Elder, Utah, and was buried 5Jun 1995 in Virgin, Washington, Utah. + 10157.Fi.Phyllis CORNELIUS, born 10Oct 1931. + 10161.Mii.Keith Delmar CORNELIUS, born 28Jan 1935. 10172.Fiii.Carol Ann CORNELIUS, born 25Dec 1944 in Hurricane, Washington, Utah. 10173.Fiv.Delsa Lou CORNELIUS, born 14Aug 1948 in Hurricane, Washington, Utah. 10157. Phyllis5 CORNELIUS (Elmer4, Henry, Jr.3, Mariam2, Mary1) was born 10Oct 1931 in Virgin, Washington, Utah. She married Wendell HOYT 31Jan 1953 in Las Vegas, Clark, Nevada. He was the son of Frederick Cross HOYT and Inez HEATON. 10158.Fi.JoAnn HOYT, born 19Jan 1954 in St. George, Washington, Utah. 10159.Fii.Karen HOYT, born 17Oct 1955 in St. George, Washington, Utah. 10161. Keith Delmar5 CORNELIUS (Elmer4, Henry, Jr.3, Mariam2, Mary1) was born 28Jan 1935 in Virgin, Washington, Utah. He married Janet Lee RUBY 3Jun 1959 in Las Vegas, Clark, Nevada. She was born 30Nov 1940 in Angola, Steuben, Indiana. She is the daughter of Thomas McKinley RUBY and Dorothy Mae CORBIN. + 10162.Fi.Cathy Lee CORNELIUS, born 4Nov 1959. + 10168.Fii.Jennifer Lynn CORNELIUS, born 17Jul 1961. 10162. Cathy Lee6 CORNELIUS (Keith5, Elmer4, Henry, Jr.3, Mariam2, Mary1) was born 4Nov 1959 in Chandler, Maricopa, Arizona. She married Wayne Keith SCHOLLE 28Aug 1981 in Salt Lake City, Salt Lake, Utah. He was born 27May 1958 in Provo, Utah, Utah. He is the son of Richard Edward SCHOLLE and Margaret Pearle CURTIS. 10163.Mi.Daniel Robert SCHOLLE, born 9Aug 1983 in Provo, Utah, Utah. 10164.Mii.Stephen Joseph SCHOLLE, born 26Jan 1985 in Fresno, Fresno, California. 10165.Miii.Adam Peter SCHOLLE, born 9May 1987 in Fresno, Fresno, California. 10166.Miv.Benjamin Jacob SCHOLLE, born 18Oct 1990 in Fresno, Fresno, California. 10167.Mv.Spencer Thomas SCHOLLE, born 4Sep 1994 in Fresno, Fresno, California. 10168. Jennifer Lynn6 CORNELIUS (Keith5, Elmer4, Henry, Jr.3, Mariam2, Mary1) was born 17Jul 1961 in Cedar City, Iron, Utah. She married Paul Earl GUTENBERGER 30May 1981 in St. Anthony, Fremont, Idaho. He was born 22May 1960 in Nampa, Canyon, Idaho. He is the son of Cedric Earl GUTENBERGER and Lorna FUGAL. 10169.Fi.Crystal Lynn GUTENBERGER, born 22Dec 1981 in Wichita Falls, Wichita, Texas. 10170.Mii.David Thomas GUTENBERGER, born 28Sep 1983 in Berlin, Germany. 10171.Miii.Brad Allen GUTENBERGER, born 8Dec 1987 in Fayetteville, Cumberland, North Carolina. 10174. Horald McLaws4 CORNELIUS (Henry, Jr.3, Mariam2, Mary1) was born 26Jul 1910 in San Jose, Sonora, Mexico. He married Elsie TAYLOR 7Apr 1933 in Santa Clara, Washington, Utah. She was born 8Jun 1914 in New Harmony, Washington, Utah. She is the daughter of James Edgar TAYLOR and Charlotte Abigail KELSEY. + 10175.Fi.Elsie Diane CORNELIUS, born 25Nov 1933. + 10192.Fii.Deloy Angel CORNELIUS, born 18Mar 1937, died 2Feb 1995. + 10220.Fiii.Leona Kay CORNELIUS, born 2Nov 1941. + 10225.Fiv.Colleen CORNELIUS, born 25May 1945. + 10232.Fv.Charla Faye CORNELIUS, born 10Sep 1951. 10175. Elsie Diane5 CORNELIUS (Horald4, Henry, Jr.3, Mariam2, Mary1) was born 25Nov 1933 in Holbrook, Navajo, Arizona. She married Kent Tobler HAFEN 5May 1954 in St. George, Washington, Utah. He was born 5Sep 1932 in Santa Clara, Washington, Utah. He is the son of Clair HAFEN and Glenna TOBLER. + 10176.Mi.Bradley Kent HAFEN, born 17Jun 1955. + 10181.Fii.Marchelle Dawn HAFEN, born 26Aug 1960. + 10186.Fiii.Deana HAFEN, born 31Aug 1960. 10191.Miv.K. Cornel HAFEN, born 31Jan in St. George, Washington, Utah. 10176. Bradley Kent6 HAFEN (Elsie5, Horald4, Henry, Jr.3, Mariam2, Mary1) was born 17Jun 1955 in Lynwood, Los Angeles, California. He married Judy OLSEN 7Apr 1978 in St. George, Washington, Utah. She was born 26Aug 1958 in Provo, Utah, Utah. She is the daughter of James Peacock OLSEN and Jane WHITTING. 10177.Mi.Jerame Kent HAFEN, born 14Apr 1981 in Las Vegas, Clark, Nevada. 10178.Mii.Duston Jay HAFEN, born 14Feb 1983 in Las Vegas, Clark, Nevada. 10179.Miii.Brady Lee HAFEN, born 16Mar 1989 in Provo, Utah, Utah. 10180.Miv.K. Cody HAFEN, born 3Jan 1992 in Provo, Utah, Utah. 10181. Marchelle Dawn6 HAFEN (Elsie5, Horald4, Henry, Jr.3, Mariam2, Mary1) was born 26Aug 1960 in Lynwood, Los Angeles, California. She married Brent J. EDGINGTON 17Aug 1984 in St. George, Washington, Utah. He was born 14Apr 1959 in Idaho Falls, Bonneville, Idaho. He is the son of Jerry E. EDGINGTON and Delores Maxine ELSER. 10182.Mi.Tanner J. EDGINGTON, born 25Mar 1987 in Provo, Utah, Utah. 10183.Fii.Allie EDGINGTON, born 14Feb 1989 in Provo, Utah, Utah. 10184.Fiii.Courtney EDGINGTON, born 15Jul 1992 in Provo, Utah, Utah. 10185.Fiv.Cassidy EDGINGTON, born 15Jul 1992 in Provo, Utah, Utah. 10186. Deana6 HAFEN (Elsie5, Horald4, Henry, Jr.3, Mariam2, Mary1) was born 31Aug 1960 in Artesia, Los Angeles, California. She married Robert Mac WHATCOTT 11Jul 1981 in St. George, Washington, Utah. He was born 10Apr 1959 in Lovell, Big Horn, Wyoming. 10187.Mi.Robert Logan WHATCOTT, born 1Aug 1985 in St. George, Washington, Utah. 10188.Fii.Dani Shay WHATCOTT, born 30Aug 1988 in St. George, Washington, Utah. 10189.Miii.Jacee WHATCOTT, born 15Jun 1992 in St. George, Washington, Utah. 10190.Miv.Trace Hafen WHATCOTT, born 7Aug 1995 in St. George, Washington, Utah. 10192. Deloy Angel5 CORNELIUS (Horald4, Henry, Jr.3, Mariam2, Mary1) was born 18Mar 1937 in Cedar City, Iron, Utah. Deloy died 2Feb 1995 in St. George, Washington, Utah. She married Guy WETZEL 15Feb 1952 in Fredonia, Coconino, Arizona. He was born 2Dec 1932 in Tropic, Garfield, Utah. He is the son of Fred Burt WETZEL and Adelia Mirl WILSON. + 10193.Mi.Guy Danton WETZEL, born 20Nov 1953. + 10197.Fii.Kayleen WETZEL, born 9Oct 1954. + 10203.Fiii.Raean WETZEL, born 13Mar 1956. + 10208.Miv.Horald James WETZEL, born 9Oct 1957. + 10212.Fv.Leslie Jo WETZEL, born 29Mar 1958. 10219.Mvi.James Jeremy TUTTLE, born 2Sep 1975 in St. George, Washington, Utah, died in infancy 10Sep 1975 in Salt Lake City, Salt Lake, Utah, and was buried 14Sep 1975 in Hurricane, Washington, Utah. 10193. Guy Danton6 WETZEL (Deloy5, Horald4, Henry, Jr.3, Mariam2, Mary1) was born 20Nov 1953 in Tacoma, Pierce, Washington. He married Susan Kay MURPHY 6Sep 1974 in Salt Lake City, Salt Lake, Utah. She was born 1Dec 1953 in Salt Lake City, Salt Lake, Utah. She is the daughter of John Mark MURPHY and Violet Annie STEAD. 10194.Fi.Amie May WETZEL, born 27Nov 1976 in Salt Lake City, Salt Lake, Utah. 10195.Fii.Jolene Sue WETZEL, born 27Sep 1984 in St. George, Washington, Utah. 10196.Fiii.Kaylyn Annie WETZEL, born 19Jun 1990 in St. George, Washington, Utah. 10197. Kayleen6 WETZEL (Deloy5, Horald4, Henry, Jr.3, Mariam2, Mary1) was born 9Oct 1954 in Olympia, Thurston, Washington. She married Joseph Louis HADLEY 1Aug 1974 in Manti, Sanpete, Utah. He was born 26May 1952 in Downey, Los Angeles, California. He is the son of Elwin Monroe HADLEY and Theo JUDD. + 10198.Fi.Jennifer Lynn HADLEY, born 7Jun 1975. 10200.Fii.Kristy Jo HADLEY, born 1Nov 1977 in St. George, Washington, Utah. 10201.Miii.Michael Louis HADLEY, born 7Sep 1980 in St. George, Washington, Utah. 10202.Miv.Scott Alan HADLEY, born 5Sep 1985 in Cedar City, Iron, Utah. 10198. Jennifer Lynn7 HADLEY (Kayleen6, Deloy5, Horald4, Henry, Jr.3, Mariam2, Mary1) was born 7Jun 1975 in St. George, Washington, Utah. She married Daniel James BALDUCK Feb 1995 in Cedar City, Iron, Utah. 10199.Mi.Daylon James BALDUCK, born Nov 1995. 10203. Raean6 WETZEL (Deloy5, Horald4, Henry, Jr.3, Mariam2, Mary1) was born 13Mar 1956 in St. George, Washington, Utah. She married Jon Burton BANKS 27Mar 1975 in Manti, Sanpete, Utah. He was born 28Apr 1951 in Cedar City, Iron, Utah. 10204.Fi.Cheri Lynn BANKS, born 14Feb 1976 in St. George, Washington, Utah. 10205.Mii.Randall Burton BANKS, born 14Mar 1982 in St. George, Washington, Utah. 10206.Fiii.Jonarae BANKS, born 20Jan 1986 in St. George, Washington, Utah. 10207.Fiv.Chelsi Lou BANKS, born 26May 1987 in St. George, Washington, Utah. 10208. Horald James6 WETZEL (Deloy5, Horald4, Henry, Jr.3, Mariam2, Mary1) was born 9Oct 1957 in Salt Lake City, Salt Lake, Utah. He married Teresa Joanne NORCROSS 26Jan 1979 in St. George, Washington, Utah. She was born 17May 1962 in Newport Beach, Orange, California. She is the daughter of Herbert Lynn NORCROSS and Linda Joyce GILLASPY. 10209.Fi.Michelle Marie WETZEL, born 7Sep 1979 in St. George, Washington, Utah. 10210.Mii.Brandon James WETZEL, born 8Jul 1981 in St. George, Washington, Utah. 10211.Miii.Tyson Scott WETZEL, born 28Aug 1983 in St. George, Washington, Utah. 10212. Leslie Jo6 WETZEL (Deloy5, Horald4, Henry, Jr.3, Mariam2, Mary1) was born 29Mar 1958 in Salt Lake City, Salt Lake, Utah. She married Dennis Rigdon BANKS 5May 1978 in St. George, Washington, Utah. He was born 16Jan 1956 in Enterprise, Washington, Utah. He is the son of Sidney Robert BANKS and Mary TAIT. 10213.Fi.Leann BANKS, born 22Mar 1979 in Provo, Utah, Utah. 10214.Fii.Julie Ann BANKS, born 25Oct 1980 in Provo, Utah, Utah. 10215.Fiii.CaraLee BANKS, born 22Sep 1982 in Murray, Salt Lake, Utah. 10216.Fiv.Sarah Jo BANKS, born 16Jul 1985 in Sandy, Salt Lake, Utah. 10217.Fv.Maryann BANKS, born 7Jul 1988 in West Jordan, Salt Lake, Utah. 10218.Mvi.Jeremy Dennis BANKS, born 2Oct 1992 in West Jordan, Salt Lake, Utah. 10220. Leona Kay5 CORNELIUS (Horald4, Henry, Jr.3, Mariam2, Mary1) was born 2Nov 1941 in Virgin, Washington, Utah. She married James Bedford "J.B." BIGGS 24Jun 1961 in Pittsburg, Contra Costa, California. He was born 26Apr 1941 in Fountain Head, Sumner, Tennessee. He is the son of Bryant Moore BIGGS and Alma Louise ROGERS. + 10221.Mi.Robert James BIGGS, born 27Sep 1962. 10224.Fii.Vicki Kim BIGGS, born 8May 1966 in Antioch, Contra Costa, California. 10221. Robert James6 BIGGS (Leona5, Horald4, Henry, Jr.3, Mariam2, Mary1) was born 27Sep 1962 in Antioch, Contra Costa, California. He married Connie Lynn O'MARY 2Mar 1985 in Reno, Washoe, Nevada. She was born 18Apr 1968. She is the daughter of Raymond Elize O'MARY and Corolyn Brenda WILKERSON. 10222.Fi.Crystal Lynn BIGGS, born 17Aug 1985 in Walnut Creek, Contra Costa, California. 10223.Fii.Cecily Kim BIGGS, born 9Dec 1988 in Walnut Creek, Contra Costa, California. 10225. Colleen5 CORNELIUS (Horald4, Henry, Jr.3, Mariam2, Mary1) was born 25May 1945 in Hurricane, Washington, Utah. She married Rodney J. HARRIS 2Jun 1966 in Oakland, Alameda, California. He was born 1Jan 1942 in Farmington, San Juan, New Mexico. He is the son of Raymond Henry HARRIS and Fern GALLAGER. + 10226.Mi.Rodney Garth HARRIS, born 6Mar 1967. 10229.Fii.Angie Marie HARRIS, born 30Aug 1969 in Farmington, San Juan, New Mexico. + 10230.Fiii.Julie Lydell HARRIS, born 29Apr 1974. 10226. Rodney Garth6 HARRIS (Colleen5, Horald4, Henry, Jr.3, Mariam2, Mary1) was born 6Mar 1967 in Farmington, San Juan, New Mexico. He married Becky Kay BECKSTEAD 12Aug 1989 in Salt Lake City, Salt Lake, Utah. She was born 11Aug 1968 in Provo, Utah, Utah. She is the daughter of Ronald Brent BECKSTEAD and Linda Diane ROSS. 10227.Fi.Sydney Tia HARRIS, born 15Apr 1991 in Salt Lake City, Salt Lake, Utah. 10228.Fii.Mallary Racheal HARRIS, born 25Jan 1994. 10230. Julie Lydell6 HARRIS (Colleen5, Horald4, Henry, Jr.3, Mariam2, Mary1) was born 29Apr 1974 in Farmington, San Juan, New Mexico. She married Derek John JOHNSON 30Jul 1993 in St. George, Washington, Utah. He was born 7Aug 1970. 10231.Fi.Astraya Marrissa JOHNSON, born 6Mar 1995. 10232. Charla Faye5 CORNELIUS (Horald4, Henry, Jr.3, Mariam2, Mary1) was born 10Sep 1951 in Hurricane, Washington, Utah. She married Ronald Neal HATCH 14Feb 1970 in St. George, Washington, Utah. He was born 2May 1946 in Sacramento, Sacramento, California. + 10233.Fi.Heather Jean HATCH, born 26Feb 1971. 10235.Mii.Ronald Neal HATCH, II, born 4May 1972 in Martinez, Contra Costa, California. 10236.Miii.Adam Walter HATCH, born 2Oct 1978 in Payson, Utah, Utah. 10237.Miv.Jonathon Taylor HATCH, born 5Oct 1981 in St. George, Washington, Utah. 10238.Mv.Aaron Williams HATCH, born 4Aug 1983 in St. George, Washington, Utah. 10239.Fvi.April Elizabeth HATCH, born 21Apr 1985 in St. George, Washington, Utah. 10240.Mvii.Samuel Isaac HATCH, born 11Feb 1987 in St. George, Washington, Utah. 10241.Fviii.Charla Elsie HATCH, born 26Jul 1988 in St. George, Washington, Utah. 10242.Fix.Holly Angel HATCH, born 11Dec 1989 in St. George, Washington, Utah. 10243.Fx.Kathleen Nancy HATCH, born 21Nov 1991 in St. George, Washington, Utah. 10244.Fxi.Merry Christine HATCH, born 29Dec 1992 in St. George, Washington, Utah. 10245.Fxii.Keilani Dawn HATCH, born 3Mar 1995 in St. George, Washington, Utah. 10233. Heather Jean6 HATCH (Charla5, Horald4, Henry, Jr.3, Mariam2, Mary1) was born 26Feb 1971 in Stockton, San Joaquin, California. She married Jared Hansen BOONE 3Nov 1995 in St. George, Washington, Utah. He was born Jul 1972. 10234.Ui. ________ BOONE, born Apr 1995. 10247. Horace Henry4 CORNELIUS (Henry, Jr.3, Mariam2, Mary1) was born 7Mar 1915 in Virgin, Washington, Utah. He married (1) Rose GIACONI 1Jan 1941. She was born 25Apr 1923 in Aguilar, Las Animas, Colorado. She is the daughter of Nello GIACONI and Lena GENARRO. + 10248.Mi.Harry Henry CORNELIUS, born 26Mar 1942. 10253.Mii.Dale Edward CORNELIUS, born 8Nov 1950 in Elko, Elko, Nevada. Horace married (2) Sara Ellen MORRIS 2Aug 1961. She was born 27Sep 1918. 10248. Harry Henry5 CORNELIUS (Horace4, Henry, Jr.3, Mariam2, Mary1) was born 26Mar 1942 in Elko, Elko, Nevada. He married Coy Jean CHILTON 1966. 10254. Nelda May4 CORNELIUS (Henry, Jr.3, Mariam2, Mary1) was born 16May 1917 in Virgin, Washington, Utah. She married George Howard WHITEHEAD 27Aug 1940 in St. George, Washington, Utah. He was born 6Mar 1915 in St. George, Washington, Utah. He is the son of Gordon WHITEHEAD and Clara Jane CHURCH. + 10255.Fi.Elaine WHITEHEAD, born 14Nov 1941. + 10264.Fii.Linda WHITEHEAD, born 3Mar 1945. + 10266.Fiii.Kathleen WHITEHEAD, born 17Nov 1948. + 10273.Miv.Gordon Howard WHITEHEAD, born 3Sep 1953. + 10281.Fv.Wendy WHITEHEAD, born 31Mar 1955. + 10288.Mvi.David Alan WHITEHEAD, born 26Jun 1959. 10255. Elaine5 WHITEHEAD (Nelda4, Henry, Jr.3, Mariam2, Mary1) was born 14Nov 1941 in Salt Lake City, Salt Lake, Utah. She married Bruce Evan MILLER 21Dec 1963 in Los Angeles, Los Angeles, California. He was born 2May 1942 in Los Angeles, Los Angeles, California. He is the son of Wade Elliott MILLER and Romania Lenora DAVIS. 10256.Mi.Mark Robert MILLER, born 13Jul 1966 in Los Angeles, Los Angeles, California. He married Elizabeth RICHARDSON 29Dec 1994. 10257.Fii.Melanie MILLER, born 1Feb 1969 in Los Angeles, Los Angeles, California. 10258.Fiii.Matthew Scott MILLER, born 16Oct 1970 in Anaheim, Orange, California. She married Patrice WHITAKER 7May 1994. 10259.Miv.Gregory Wayne MILLER, born 11Oct 1973 in Anaheim, Orange, California. 10260.Fv.Darla Jillyn MILLER, born 30Oct 1975 in Anaheim, Orange, California. 10261.Fvi.Melinda MILLER, born 20May 1977 in Anaheim, Orange, California, died in infancy 20May 1977 in Anaheim, Orange, California. 10262.Fvii.Mindy Lynn MILLER, born 22Jul 1978 in Anaheim, Orange, California. 10263.Fviii.Amber Lee MILLER, born 30Dec 1979 in Anaheim, Orange, California. 10264. Linda5 WHITEHEAD (Nelda4, Henry, Jr.3, Mariam2, Mary1) was born 3Mar 1945 in Los Angeles, Los Angeles, California. She married (1) Donald Walter TILTON 4May 1965. Linda married (2) Lynn Harry WORLEY 28Apr 1974. He was born 29Apr 1946 in Tooele, Tooele, Utah. He is the son of William Harry WORLEY and Edna HAYES. 10265.Mi.Derek James WORLEY, born 4Nov 1976 in San Pedro, Los Angeles, California. Linda married (3) Newell Holt CLOVE 6Jan 1979. 10266. Kathleen5 WHITEHEAD (Nelda4, Henry, Jr.3, Mariam2, Mary1) was born 17Nov 1948 in Los Angeles, Los Angeles, California. She married Quentin Paul GOODMAN 11Sep 1970 in Los Angeles, Los Angeles, California. He was born 8Jun 1943 in San Pedro, Los Angeles, California. He is the son of Len Arthur GOODMAN and Fern Lorraine WICKSTROM. 10267.Mi.David Michael GOODMAN, born 29Nov 1974 in Los Angeles, Los Angeles, California, died Oct 1995. 10268.Mii.Timothy Ryan GOODMAN, born 7Sep 1976 in Los Angeles, Los Angeles, California. 10269.Fiii.Mandy GOODMAN, born 21Jan 1979 in Yorba Linda, Orange, California. 10270.Miv.Jesse Curtis GOODMAN, born 27Apr 1981 in Orange, Orange, California. 10271.Fv.Emma Jane GOODMAN, born 23Nov 1983 in Orange, Orange, California. 10272.Mvi.Casey GOODMAN, born 19Oct 1985/1986 in Orange, Orange, California. 10273. Gordon Howard5 WHITEHEAD (Nelda4, Henry, Jr.3, Mariam2, Mary1) was born 3Sep 1953 in El Paso, El Paso, Texas. He married Grace Lynette CORBIN 15Nov 1980 in Los Angeles, Los Angeles, California. She was born 6Jan 1955 in Orange, Orange, California. She is the daughter of James LeRoy CORBIN and Leora TRYON. 10274.Mi.Michael Howard WHITEHEAD, born 24Sep 1981 in San Pedro, Los Angeles, California. 10275.Fii.Valerie WHITEHEAD, born 3Oct 1983 in Torrance, Orange, California. 10276.Fiii.Laurel WHITEHEAD, born 9Feb 1985 in Torrance, Orange, California. 10277.Miv.Brent WHITEHEAD, born 17May 1987 in Anaheim, Orange, California. 10278.Fv.Amy WHITEHEAD, born 14Jan 1989 in Sandy, Salt Lake, Utah. 10279.Mvi.Steven WHITEHEAD, born 2Dec 1992 in Murray, Salt Lake, Utah. 10280.Mvii.Spencer WHITEHEAD, born 17Aug 1994 in Murray, Salt Lake, Utah. 10281. Wendy5 WHITEHEAD (Nelda4, Henry, Jr.3, Mariam2, Mary1) was born 31Mar 1955 in Los Angeles, Los Angeles, California. She married Kenneth Lewis FARR 9Jul 1976 in Los Angeles, Los Angeles, California. He was born 16Aug 1952 in San Pedro, Los Angeles, California. He is the son of Marvin L. FARR and Alice ZONDERVON. 10282.Mi.Corey Alan FARR, born 19Sep 1977 in Anaheim, Orange, California. 10283.Mii.Jeffrey Neil FARR, born 7Feb 1979 in Anaheim, Orange, California. 10284.Miii.Kevin Ryan FARR, born 5Jun 1980 in Anaheim, Orange, California. 10285.Miv.Brian Kenneth FARR, born 19Jan 1982 in Anaheim, Orange, California. 10286.Fv.Kelliann FARR, born 9Sep 1985 in Salt Lake City, Salt Lake, Utah. 10287.Mvi.Matthew FARR, born 28Jul 1991 in Murray, Salt Lake, Utah. 10288. David Alan5 WHITEHEAD (Nelda4, Henry, Jr.3, Mariam2, Mary1) was born 26Jun 1959 in Los Angeles, Los Angeles, California. He married Cara Lyn VERDOORN 22Dec 1982 in Oakland, Alameda, California. She was born 1Sep 1963 in Madison, Dane, Wisconsin. She is the daughter of Peter Dirk VERDOORN and Joan Lillian SOULE. 10289.Mi.Tyler Alan WHITEHEAD, born 18Dec 1983 in Orem, Utah, Utah. 10290.Fii.Tara Lyn WHITEHEAD, born 9Sep 1985 in Whittier, Los Angeles, California. 10291.Fiii.Rebecca WHITEHEAD, born 22Jan 1989 in San Pedro, Los Angeles, California. 10292.Miv.Troy WHITEHEAD, born 18Jun 1993 in Torrance, Orange, California. 10294. Russell B.4 CORNELIUS (Henry, Jr.3, Mariam2, Mary1) was born 9Sep 1921 in Virgin, Washington, Utah. He married Ruth CALL 7Jan 1943 in St. George, Washington, Utah. She was born 5Dec 1922 in Salt Lake City, Salt Lake, Utah. She is the daughter of Harold CALL and Beatrice Alice PATTERSON. + 10295.Mi.Russell Kaye CORNELIUS, born 25Oct 1943. + 10302.Fii.Shauna Lucille CORNELIUS, born 7Sep 1946. + 10308.Miii.Harold Edward CORNELIUS, born 20Apr 1953. + 10312.Miv.Steven Lauren CORNELIUS, born 3Sep 1954. 10295. Russell Kaye5 CORNELIUS (Russell4, Henry, Jr.3, Mariam2, Mary1) was born 25Oct 1943 in Reno, Washoe, Nevada. He married Kathleen K. OWEN 2Apr 1965 in Logan, Cache, Utah. She was born 23Mar 1945 in Ogden, Weber, Utah. She is the daughter of Ezra Benson OWEN and Phyllis Margaret KIRKHAM. + 10296.Fi.Jennifer Lee CORNELIUS, born 26Nov 1968. 10299.Mii.Christopher Owen CORNELIUS, born 19Aug 1972 in San Antonio, Bexar, Texas. He married Millie Morillo LIM 14Apr 1995 in Salt Lake City, Salt Lake, Utah. She was born 30Mar 1971 in Quezon City, Philippines. She is the daughter of Agusto LIM and Myrna Garcia MORILLO. 10300.Miii.Jane Marie CORNELIUS, born 1Jun 1977 in Marysville, Yuba, California. 10301.Fiv.Amanda Ruth CORNELIUS, born 11Jun 1982 in Biloxi, Harrison, Mississippi. 10296. Jennifer Lee6 CORNELIUS (Russell5, Russell4, Henry, Jr.3, Mariam2, Mary1) was born 26Nov 1968 in Panama City, Bay, Florida. She married Mark Thomas ANDERSON 18Aug 1989 in Logan, Cache, Utah. He was born 29Oct 1967 in Ogden, Weber, Utah. He is the son of Thomas ANDERSON and Joan MILLER. 10297.Mi.Cameron Mark ANDERSON, born 12Jun 1993 in Payson, Utah, Utah. 10298.Fii.Chloe Kathleen ANDERSON, born 4Sep 1995 in Denver, Denver, Colorado. 10302. Shauna Lucille5 CORNELIUS (Russell4, Henry, Jr.3, Mariam2, Mary1) was born 7Sep 1946 in Hurricane, Washington, Utah. She married Gene Laurence JOHNSON 7Jun 1969 in Oakland, Alameda, California. He was born 23Jan 1945 in Provo, Utah, Utah. 10303.Fi.Elizabeth Anne JOHNSON, born 18Sep 1971 in Provo, Utah, Utah. 10304.Mii.Michael Laurence JOHNSON, born 22Jan 1973 in St. George, Washington, Utah. 10305.Fiii.Lindsay Anne JOHNSON, born 26Jun 1977 in St. George, Washington, Utah. 10306.Fiv.Jessie Erin JOHNSON, born 3Nov 1979 in St. George, Washington, Utah. 10307.Mv.Christopher Alan JOHNSON, born 2Dec 1982 in St. George, Washington, Utah. 10308. Harold Edward5 CORNELIUS (Russell4, Henry, Jr.3, Mariam2, Mary1) was born 20Apr 1953 in St. George, Washington, Utah. He married Gayle Kathryn WAGNER 27Dec 1977 in St. George, Washington, Utah. She was born 6Jan 1956 in Tacoma, Pierce, Washington. She is the daughter of William Henry WAGNER and Rosemary Dorothy BENDER. 10309.Mi.Jason Edward CORNELIUS, born 2May 1979 in Antioch, Contra Costa, California. 10310.Mii.Dustin Harold CORNELIUS, born 27Oct 1981 in Pittsburg, Contra Costa, California. 10311.Miii.Jared Russell CORNELIUS, born 9Oct 1992 in Antioch, Contra Costa, California. 10312. Steven Lauren5 CORNELIUS (Russell4, Henry, Jr.3, Mariam2, Mary1) was born 3Sep 1954 in Antioch, Contra Costa, California. He married Terri Lee CARGILL 2Apr 1977 in Loomis, Placer, California. She was born 18Jun 1957 in El Centro, Imperial, California. 10313.Mi.Jeffrey Ryan CORNELIUS, born 26Apr 1979 in Yuba City, Sutter, California. 10314.Fii.Carly Erin CORNELIUS, born 28Sep 1981 in St. George, Washington, Utah. 10315.Miii.R. C. Mitchell CORNELIUS, born 5Aug 1983 in St. George, Washington, Utah. 10316.Miv.Ryan Evan CORNELIUS, born 25Jun 1985 in St. George, Washington, Utah. 10317. Corinne4 CORNELIUS (Henry, Jr.3, Mariam2, Mary1) was born 13Sep 1926 in Virgin, Washington, Utah. She married (1) Raymond Warren HANSEN 12Apr 1947 in Virgin, Washington, Utah. He was born 7Oct 1921 in Denver, Denver, Colorado. He is the son of John Edward HANSEN and Elizabeth Jane CUMMINS. + 10318.Mi.Edward Leo HANSEN, born 19Apr 1948. + 10322.Mii.Gary Don HANSEN, born 3Aug 1950. + 10324.Fiii.Donna Rae HANSEN, born 16Dec 1952. + 10328.Fiv.Terrie Lynne HANSEN, born 28Aug 1956. 10330.Fv.Laurie Ann HANSEN, born 5Nov 1958 in San Pedro, Los Angeles, California. She married Louis DiBERNARDO 20Apr 1991 in Redondo Beach, California. He was born 19May 1935 in Italy. + 10331.Fvi.Emilee Jane HANSEN, born 8Jun 1960. + 10336.Fvii.Robin Renee HANSEN, born 6Mar 1967. Corinne married (2) Vernon WOODBURY 7May 1994. He was born 7Aug 1926 in Hurricane, Washington, Utah. 10318. Edward Leo5 HANSEN (Corinne4, Henry, Jr.3, Mariam2, Mary1) was born 19Apr 1948 in San Pedro, Los Angeles, California. He married Ralene Mary GAGON 12Jul 1968 in Los Angeles, Los Angeles, California. She was born 22Jan 1949 in San Pedro, Los Angeles, California. 10319.Fi.Heidi Lynn HANSEN, born 23Jul 1969 in Torrance, Orange, California. 10320.Fii.Sheila Michelle HANSEN, born 8Mar 1972 in Torrance, Orange, California. She married Mark Allen GERANTOLA 21Oct 1995 in Anaheim, Orange, California. He was born 4Oct 1964. 10321.Fiii.Melinda Leigh HANSEN, born 18Jun 1977 in Harbor City, California. 10322. Gary Don5 HANSEN (Corinne4, Henry, Jr.3, Mariam2, Mary1) was born 3Aug 1950 in San Pedro, Los Angeles, California. He married Lynn SKILES 21Jun 1986 in Pomona, Los Angeles, California. She was born 9Nov 1956 in Pomona, Los Angeles, California. 10323.Mi.Brett Allen HANSEN, born 9Jan 1991 in Upland, San Bernardino, California. 10324. Donna Rae5 HANSEN (Corinne4, Henry, Jr.3, Mariam2, Mary1) was born 16Dec 1952 in San Pedro, Los Angeles, California. She married William Jay GASSER 11Jul 1981 in Los Angeles, Los Angeles, California. He was born 16Aug 1942 in Long Beach, Los Angeles, California. 10325.Mi.Steven Raymond GASSER, born 23Aug 1982 in Torrance, Orange, California. 10326.Mii.Michael Kynette GASSER, born 10Mar 1984 in Torrance, Los Angeles, California. 10327.Miii.Johathan GASSER, born 19Dec 1986 in Riverside, Riverside, California. 10328. Terrie Lynne5 HANSEN (Corinne4, Henry, Jr.3, Mariam2, Mary1) was born 28Aug 1956 in San Pedro, Los Angeles, California. She married James Arthur OLIVER 10Apr 1987 in St. George, Washington, Utah. He was born 3Feb 1948 in Altadena, Los Angeles, California. 10329.Fi.Amanda Marie OLIVER, born 13Dec 1988 in St. George, Washington, Utah. 10331. Emilee Jane5 HANSEN (Corinne4, Henry, Jr.3, Mariam2, Mary1) was born 8Jun 1960 in San Pedro, Los Angeles, California. She married (1) Johnny Millens RAY 29Jan 1976 in San Pedro, Los Angeles, California. He was born 21Jun 1958 in France. + 10332.Mi.Jason John RAY, born 14Mar 1976. Emilee married (2) Adrian Joseph SOTO 23Jan 1988 in South Lake, El Dorado, California. He was born 3Jul 1955 in San Pedro, Los Angeles, California. 10334.Mii.Andrew Jonathan SOTO, born 2Jul 1988 in Torrance, Los Angeles, California. 10335.Fiii.Amber Anne SOTO, born 11Oct 1989 in Torrance, Los Angeles, California. 10332. Jason John6 RAY (Emilee5, Corinne4, Henry, Jr.3, Mariam2, Mary1) was born 14Mar 1976 in Torrance, Los Angeles, California. He was not married to Michelle Renee BENSON. She was born 18Jan 1977 in Apple Valley, San Bernardino, California. 10333.Fi.Meagan Chelease RAY, born 5Dec 1994 in Apple Valley, San Bernardino, California. 10336. Robin Renee5 HANSEN (Corinne4, Henry, Jr.3, Mariam2, Mary1) was born 6Mar 1967 in San Pedro, Los Angeles, California. She married Enrique COBRERA 18Aug 1991 in Los Angeles, Los Angeles, California. He was born 24Mar 1970 in Ensenada, Baja California, Mexico. 10337.Mi.Kurt Ryan COBRERA, born 18Dec 1992 in Torrance, Los Angeles, California. 10338. Kenneth4 CORNELIUS (Henry, Jr.3, Mariam2, Mary1) was born 15Mar 1929 in Virgin, Washington, Utah. He married Kathryn Bringhurst STOUT 21Dec 1963 in Las Vegas, Clark, Nevada. She was born 29Jan 1930 in Kanab, Kane, Utah. + 10339.Mi.Kenneth Darwin CORNELIUS, born 29Jul 1965. + 10341.Fii.Carolyn Jane CORNELIUS, born 19Jul 1965. 10339. Kenneth Darwin5 CORNELIUS (Kenneth4, Henry, Jr.3, Mariam2, Mary1) was born 29Jul 1965 in Cedar City, Iron, Utah. He married Tamera LAMM 18Sep 1989 in Springdale, Washington, Utah. 10340.Mi.Dakota Henry CORNELIUS, born 1Jun 1994 in St. George, Washington, Utah. 10341. Carolyn Jane5 CORNELIUS (Kenneth4, Henry, Jr.3, Mariam2, Mary1) was born 19Jul 1965 in Cedar City, Iron, Utah. She married Charles Andrew MATSLER 1Jun 1990 in Virgin, Washington, Utah. 10342.Mi.Joshua Andrew MATSLER, born 30Dec 1992 in St. George, Washington, Utah. 10343.Mii.Jeremiah Kenneth MATSLER, born 28Dec 1994 in St. George, Washington, Utah. 10344. Mary Rosalie3 CORNELIUS (Mariam2, Mary1) was born 9Jun 1881 in Silver Reef, Washington, Utah. Mary died 25Jun 1954 in Cedar City, Iron, Utah. She married Robert Bird STRATTON 29Dec 1903 in St. George, Washington, Utah. He was born 1Jan 1881 in Virgin, Washington, Utah. He was the son of James Albert STRATTON and Emily Henrietta Amanda GARDINER. + 10345.Mi.Robert Thelmer STRATTON, born 28Oct 1904. 10356.Fii.Rosa Elena STRATTON, born 2Aug 1906 in Virgin, Washington, Utah. She married Rex McFarlane PERRY 27Dec 1927. He was born 21Aug 1900 in Cedar City, Iron, Utah. He is the son of William PERRY and Anna Bella McFARLANE. + 10357.Fiii.Ethel STRATTON, born 1Aug 1908. + 10366.Miv.Aril STRATTON, born 1Nov 1911. + 10371.Mv.Arven-Arvin Vernal STRATTON, born 22May 1914. + 10378.Mvi.Elton Cornelius STRATTON, born 26Aug 1916. + 10383.Fvii.Florence Norene STRATTON, born 9Apr 1920. + 10388.Mviii.Henry Arwin STRATTON, born 5Jan 1923. 10345. Robert Thelmer4 STRATTON (Mary3, Mariam2, Mary1) was born 28Oct 1904 in Virgin, Washington, Utah. He married (1) Leona MORRILL. She was born 17Nov 1905 in Circleville, Piute, Utah. She was the daughter of Henry Chancy MORRILL and Mary Isabell MANSOR. Leona died 14Nov 1941 in Cedar City, Iron, Utah, and was buried 17Nov 1941 in Hurricane, Washington, Utah. 10346.Mi.Elvis Thell STRATTON, born 27Dec 1926 in Hurricane, Washington, Utah. He married Thelma ENGLESTEAD 7Mar 1949 in Boulder City, Clark, Nevada. She was born 28Nov 1927 in Cedar City, Iron, Utah. She is the daughter of Clarence Madson ENGLESTEAD and LaVera TAYLOR. Robert married (2) Thelma Lucile MITCHELL 25Aug 1933. She was born 5Aug 1915 in Pocatello, Bannock, Idaho. She is the daughter of San Louis MITCHELL and Alice Lauretta HANSEN. 10347.Mii.Robert LeVon STRATTON, born 9Jul 1935 in Cedar City, Iron, Utah. He married Norma June BOSS 7Jun 1957. + 10348.Miii.Alvin LaNor STRATTON, born 13Apr 1937. 10350.Fiv.Laura STRATTON, born 11Mar 1940 in Cedar City, Iron, Utah. 10351.Fv.Ella Jelene STRATTON, born 4Jul 1941 in Cedar City, Iron, Utah. 10352.Mvi.Bert Burnell STRATTON, born 13Apr 1946 in Cedar City, Iron, Utah. 10353.Fvii.Evelyn STRATTON, born 15Feb 1948 in Cedar City, Iron, Utah. 10354.Fviii.Norma STRATTON, born 26Aug 1953 in Cedar City, Iron, Utah. 10355.Mix.Eddie Allen STRATTON, born 12Apr 1956 in Cedar City, Iron, Utah. 10348. Alvin LaNor5 STRATTON (Robert4, Mary3, Mariam2, Mary1) was born 13Apr 1937 in Virgin, Washington, Utah. He married Barbara Ann ROBERTS 21Nov 1956 in Cedar City, Iron, Utah. She was born 28Sep 1942 in Athens, Limestone, Alabama. She is the daughter of Lester Wyatt ROBERTS and Laura Virginia RUSSELL. 10349.Mi.Alvin Dean STRATTON, born 2Aug 1957 in Provo, Utah, Utah. 10357. Ethel4 STRATTON (Mary3, Mariam2, Mary1) was born 1Aug 1908 in Virgin, Washington, Utah. She married Sidney Judd THOMPSON 16May 1931 in Parowan, Iron, Utah. He was born 9Jun 1908 in La Verkin, Washington, Utah. He is the son of Wilford Woodruff THOMPSON and Kate JUDD. + 10358.Fi.Ethel Jeannine THOMPSON, born 24Feb 1934. 10363.Mii.Sidney Duane THOMPSON, born 23Aug 1937 in Cedar City, Iron, Utah. 10364.Miii.Norman Perry THOMPSON, born 1Nov 1942 in Cedar City, Iron, Utah. 10365.Miv.Paul Judd THOMPSON, born 13May 1945 in Cedar City, Iron, Utah. 10358. Ethel Jeannine5 THOMPSON (Ethel4, Mary3, Mariam2, Mary1) was born 24Feb 1934 in Cedar City, Iron, Utah. She married Edward Leon SCHRANDT 14Dec 1953 in Cedar City, Iron, Utah. He was born 9Mar 1932 in California. He is the son of Edward John SCHRANDT. 10359.Fi.Lorna SCHRANDT, born 31Oct 1955 in Logan, Cache, Utah. 10360.Uii. ________ SCHRANDT, born in Provo, Utah, Utah, died in Provo, Utah, Utah. 10361.Uiii. ________ SCHRANDT, born in Provo, Utah, Utah, died in Provo, Utah, Utah. 10362.Miv.Curtis Leon SCHRANDT, born in Van Nuys, Los Angeles, California. 10366. Aril4 STRATTON (Mary3, Mariam2, Mary1) was born 1Nov 1911 in Hurricane, Washington, Utah. He married Lockey Mazetta TURNBEAUGH 4Jan 1936 in Cedar City, Iron, Utah. She was born 19Apr 1912 in Boise, Ada, Idaho. She is the daughter of George Washington TURNBEAUGH and Martha PRISBREY. 10367.Mi.Gerald A. STRATTON, born 19Feb 1937 in Cedar City, Iron, Utah. 10368.Mii.Derral Drew STRATTON, born 17Jul 1938 in Cedar City, Iron, Utah. 10369.Fiii.Marydon STRATTON, born 23Jul 1939 in Cedar City, Iron, Utah. 10370.Miv.Cloyd Neil STRATTON, born 26Jan 1941 in Cedar City, Iron, Utah. 10371. Arven-Arvin Vernal4 STRATTON (Mary3, Mariam2, Mary1) was born 22May 1914 in Hurricane, Washington, Utah. He married Neola Riggs SHUMWAY 25Aug 1933. She was born 29Dec 1911 in Alamo, Lincoln, Nevada. She is the daughter of Elijah SHUMWAY and Issa Banda MILLETT. 10372.Fi.Lila Jean STRATTON, born 22May 1934 in Hurricane, Washington, Utah. She married Rodney Earl KAMINSKA 12Sep 1952. 10373.Mii.Ronald Vernal STRATTON, born 8May 1936 in Hurricane, Washington, Utah. He married Ruby DOROUGH 10Jul 1957. 10374.Miii.Arvin LaWayne STRATTON, born 10Feb 1938 in Hurricane, Washington, Utah. 10375.Fiv.Manon STRATTON, born 6Nov 1940 in Hurricane, Washington, Utah. 10376.Fv.Marie Alena STRATTON, born 11Jan 1944 in Cedar City, Iron, Utah. 10377.Fvi.Judy Neola STRATTON, born 2Oct 1948 in Cedar City, Iron, Utah. 10378. Elton Cornelius4 STRATTON (Mary3, Mariam2, Mary1) was born 26Aug 1916 in Hurricane, Washington, Utah. He married Shirley REBER 2Feb 1946 in Las Vegas, Clark, Nevada. She was born 10Jan 1923 in Santa Clara, Washington, Utah. She is the daughter of Ernest J. REBER and Jetta GUBLER. 10379.Fi.Shirley Dianne STRATTON, born 21Nov 1946 in Cedar City, Iron, Utah. 10380.Mii.Elton Roger STRATTON, born 24Mar 1948 in Cedar City, Iron, Utah. 10381.Miii.Monty Cornelius STRATTON, born 28Sep 1949 in Cedar City, Iron, Utah. 10382.Fiv.Jo Lynn STRATTON, born 28Sep 1954 in Cedar City, Iron, Utah. 10383. Florence Norene4 STRATTON (Mary3, Mariam2, Mary1) was born 9Apr 1920 in Hurricane, Washington, Utah. She married Arnold PAYNE 8May 1948 in Manti, Sanpete, Utah. He was born 4Aug 1918 in Glenwood, Sevier, Utah. He is the son of John Henry PAYNE and Margaret SAMPSON. 10384.Fi.Susan Norene PAYNE, born 31Dec 1948 in Salt Lake City, Salt Lake, Utah. 10385.Fii.Tauna Jean PAYNE, born 13Feb 1954 in Provo, Utah, Utah. 10386.Miii.John Arnold PAYNE, born 1May 1956 in Provo, Utah, Utah. 10387.Fiv.Tamara Rosalee PAYNE, born 4Mar 1959 in Provo, Utah, Utah. 10388. Henry Arwin4 STRATTON (Mary3, Mariam2, Mary1) was born 5Jan 1923 in Hurricane, Washington, Utah. He married (1) Helen HARPER 9Mar 1942. She was born 9Jun 1923 in St. George, Washington, Utah. She is the daughter of Edward HARPER and Olive GRAY. 10389.Mi.Keith Arwin STRATTON, born 23Mar 1943 in St. George, Washington, Utah. 10390.Mii.Robert Ross STRATTON, born 10May 1944 in Cedar City, Iron, Utah. 10391.Miii.Richard Alan STRATTON, born 30Jun 1947 in Salt Lake City, Salt Lake, Utah. 10392.Miv.David Craig STRATTON, born 30Nov 1951 in Cedar City, Iron, Utah. Henry married (2) Jennie BRYANT 2Oct 1954 in Cedar City, Iron, Washington. She was the daughter of Arthur James BRYANT and Mary Jennett WALKER. 10394. James Elisha3 CORNELIUS (Mariam2, Mary1) was born 5Dec 1886 in Virgin, Washington, Utah. James died 14Apr 1957. He married Lola Vilate LEE 9Oct 1909 in Beaver, Beaver, Utah. She was born 12Jul 1889 in Tuba City, Coconino, Arizona. She was the daughter of Joseph Hyrum LEE and Mary Elizabeth WOOLSEY. Lola died 5Apr 1966 in St. George, Washington, Utah, and was buried 8Apr 1966. Lola was active in her church for many years. Her husband was an invalid the latter part of his life. Although they had a large family they were only permitted to rear three of them. 10395.Fi.Ila CORNELIUS, born 31Aug 1911 in Virgin, Washington, Utah, died in infancy 31Aug 1911 in Virgin, Washington, Utah. + 10396.Mii.James Hyrum CORNELIUS, born 30Jul 1912. + 10403.Miii.Jesse CORNELIUS, born 19Aug 1914. 10410.Miv.Howard CORNELIUS, born 20Feb 1917 in Virgin, Washington, Utah, died in infancy 20Feb 1917 in Virgin, Washington, Utah. 10411.Fv.Vilate CORNELIUS, born 13Aug 1918 in Virgin, Washington, Utah, died in infancy 13Aug 1918 in Virgin, Washington, Utah. 10412.Fvi.Mayme Ray CORNELIUS, born 27Sep 1919 in Virgin, Washington, Utah, died in infancy 27Sep 1919 in Virgin, Washington, Utah. + 10413.Mvii.Grant CORNELIUS, born 12Dec 1921. 10419.Mviii.Martain CORNELIUS, born 4Aug 1924 in Virgin, Washington, Utah, died in infancy 4Aug 1924 in Virgin, Washington, Utah. 10420.Fix.Alta CORNELIUS, born 10Aug 1926 in Virgin, Washington, Utah, died in infancy 20Aug 1926. 10421.Mx.Gerald Wilford CORNELIUS, born 6Jul 1927 in Virgin, Washington, Utah, died in infancy 6Jul 1927 in Virgin, Washington, Utah. 10396. James Hyrum4 CORNELIUS (James3, Mariam2, Mary1) was born 30Jul 1912 in Virgin, Washington, Utah. He married LaPriel ISOM 8Jan 1942 in Las Vegas, Clark, Nevada. She was born 3Sep 1914 in Hurricane, Washington, Utah. She is the daughter of George ISOM and Anna CRAWFORD. 10397.Mi.James Dale CORNELIUS, born 14Oct 1942 in La Verkin, Washington, Utah. 10398.Fii.Sharon CORNELIUS, born 25Jun 1944 in Hurricane, Washington, Utah. 10399.Fiii.Leslie CORNELIUS, born 24Jan 1946 in Hurricane, Washington, Utah. 10400.Fiv.Lynne CORNELIUS, born 24Jan 1946 in Hurricane, Washington, Utah. 10401.Mv.Scott CORNELIUS, born 19Apr 1949 in Hurricane, Washington, Utah. 10402.Mvi.Antone CORNELIUS, born 31Jul 1953 in Cedar City, Iron, Utah. 10403. Jesse4 CORNELIUS (James3, Mariam2, Mary1) was born 19Aug 1914 in Kolob, Washington, Utah. He married (1) Dorothy WOOD. Jesse married (2) Christie WORKMAN in Tuba City, Coconino, Arizona. She was born 6Apr 1923 in Hurricane, Washington, Utah. She is the daughter of ________ NEPHI and Louise RUESCH. 10404.Mi.Robert Burns CORNELIUS, born 18May 1945 in Hurricane, Washington, Utah. 10405.Mii.Thomas Burns CORNELIUS, born 17Sep 1947 in Hurricane, Washington, Utah. 10406.Miii.Bruce CORNELIUS, born 4Oct 1949 in Cedar City, Iron, Utah. 10407.Fiv.Christine CORNELIUS, born 15Dec 1950 in Cedar City, Iron, Utah. 10408.Mv.Marlin CORNELIUS, born 15Dec 1952 in Cedar City, Iron, Utah. 10409.Fvi.Eveline CORNELIUS, born 30Dec 1953 in Cedar City, Iron, Utah. 10413. Grant4 CORNELIUS (James3, Mariam2, Mary1) was born 12Dec 1921 in St. George, Washington, Utah. He married Eleanor GIFFORD 12Dec 1946 in Henderson, Clark, Nevada. She was born 28Oct 1923 in Cedar City, Iron, Utah. She is the daughter of Afton GIFFORD and Nora DALTON. 10414.Fi.Jacklyn Sevy CORNELIUS, born 2Oct 1942 in Cedar City, Iron, Utah. 10415.Mii.Grant CORNELIUS, Jr., born 12Dec 1947 in Logan, Cache, Utah, died in infancy 12Dec 1947 in Logan, Cache, Utah. 10416.Miii.Michael Kim CORNELIUS, born 20May 1951 in Driggs, Teton, Idaho. 10417.Fiv.Jan CORNELIUS, born 15Jul 1955 in Hazelton, Jerome, Idaho. 10418.Fv.Kathy Jean CORNELIUS, born 27Sep 1957 in Pittsburg, Contra Costa, California. 10422. Lucy Olive2 LEE (Mary1) was born 15Apr 1858 in Harmony, Washington, Utah. Lucy died 30Jan 1922 in Virgin, Washington, Utah, and was buried in Virgin, Washington, Utah. She married Thomas Franklin MALONEY 15Aug 1875 in Virgin, Washington, Utah. He was born 20Aug 1843 in Whitegate, Cork, Ireland. Thomas died in Virgin, Washington, Utah, and was buried in Virgin, Washington, Utah. 10423.Mi.Thomas Franklin MALONEY, born 1876 in Virgin, Washington, Utah, died in infancy 6May 1877. + 10424.Fii.Mary Julina MALONEY, born 8Sep 1878. + 10428.Miii.Richard MALONEY, born 22Sep 1882, died 14Dec 1932. 10434.Miv.Erastus MALONEY, born 13Dec 1884 in Virgin, Washington, Utah. 10435.Fv.Lucy Olive MALONEY, born 23Oct 1885 in Virgin, Washington, Utah, died in infancy 9Jan 1886. 10436.Mvi.John Elisha MALONEY, born 23Oct 1886 in Virgin, Washington, Utah. 10437.Fvii.Margaret Leah MALONEY, born 1Feb 1888 in Silver Reef, Washington, Utah, died in infancy May 1888. 10438.Mviii.David MALONEY, born 13Jun 1889 in Virgin, Washington, Utah, died in infancy 22Jan 1890. + 10439.Mix.Joseph Smith MALONEY, born 28Jul 1890. + 10471.Mx.Rheuben-Reuben Daniel MALONEY, born 11Sep 1893. 10480.Mxi.Raymond MALONEY, born 19Jan 1896 in Virgin, Washington, Utah. 10481.Mxii.George Dewey MALONEY, born 30May 1899 in Virgin, Washington, Utah. 10424. Mary Julina3 MALONEY (Lucy2, Mary1) was born 8Sep 1878 in Virgin, Washington, Utah. She married William BEAMS. 10425.Fi.Ada BEAMS. She married Golden WEBB. 10428. Richard3 MALONEY (Lucy2, Mary1) was born 22Sep 1882 in Virgin, Washington, Utah. Richard died 14Dec 1932 in Salt Lake City, Salt Lake, Utah, and was buried 16Dec 1932 in Salt Lake City, Salt Lake, Utah. He married Eliza HARDY. She was born 15Aug 1887 in St. George, Washington, Utah. She was the daughter of Warren HARDY and Sarah Hannah SMITH. 10429.Mi.Karl Thomas MALONEY, born 10Jun 1907 in St. George, Washington, Utah. He married Daisy Opal BLEAZARD 3Dec 1930. 10430.Fii.Lucille MALONEY, born 17Sep 1907 in Virgin, Washington, Utah. She married James BEVAN. 10431.Miii.Keith Warren MALONEY, born 20Jul 1912 in Virgin, Washington, Utah. He married Marion GUNDERSON. 10432.Fiv.Bernice MALONEY, born 28Jun 1916 in Virgin, Washington, Utah. She married Milton HAMILTON 28Jun 1938. 10433.Mv.Gerald Kay MALONEY, born 20Oct 1928 in Salt Lake City, Salt Lake, Utah. 10439. Joseph Smith3 MALONEY (Lucy2, Mary1) was born 28Jul 1890 in Virgin, Washington, Utah. He married Ruth NELSON 22Nov 1919 in St. George, Washington, Utah. She was born 12Sep 1893 in St. George, Washington, Utah. She was the daughter of William A. NELSON and Lucindee THOMPSON. Ruth died 23Oct 1953 in Virgin, Washington, Utah, and was buried 27Oct 1953 in Virgin, Washington, Utah. 10440.Mi.Ray Nelson MALONEY, born 14Nov 1920 in St. George, Washington, Utah. He married Amy NIELSON. + 10441.Fii.Yvonne Nelson MALONEY, born 1Jan 1923. + 10469.Fiii.Mary Jean Nelson MALONEY, born 30Aug 1926. 10441. Yvonne Nelson4 MALONEY (Joseph3, Lucy2, Mary1) was born 1Jan 1923 in Virgin, Washington, Utah. She married Lenard WILCOX 17Dec 1941 in Las Vegas, Clark, Nevada. He was born 18May 1921 in Virgin, Washington, Utah. He is the son of J. Hugh WILCOX and Thelma FLANIGAN. + 10442.Fi.Lenny WILCOX, born 30Aug 1943. + 10456.Fii.Wanda WILCOX, born 17Jul 1945. + 10459.Miii.Richard Ernest WILCOX, born 26Sep 1948. + 10466.Fiv.Stacy WILCOX, born 25Sep 1955. 10442. Lenny5 WILCOX (Yvonne4, Joseph3, Lucy2, Mary1) was born 30Aug 1943 in Virgin, Washington, Utah. She married Raymond Daniel BRINKERHOFF. He was born 20May 1941 in Virgin, Washington, Utah. + 10443.Mi.Jody Hugh BRINKERHOFF, born 9Jul 1962. + 10448.Mii.Kenneth BRINKERHOFF, born 30Dec 1964. + 10453.Miii.Arlen Daniel BRINKERHOFF, born 30Sep 1969. 10455.Fiv.Erin Michel BRINKERHOFF, born 24Nov 1975 in Elmendorf AFB, Alaska. 10443. Jody Hugh6 BRINKERHOFF (Lenny5, Yvonne4, Joseph3, Lucy2, Mary1) was born 9Jul 1962 in El Paso, El Paso, Texas. He married Heather Dawn MOODY. She was born 10Jul 1968 in Cheyenne, Laramie, Wyoming. 10444.Mi.Jody Hugh BRINKERHOFF, Jr., born 21Jun 1985 in St. George, Washington, Utah. 10445.Fii.Heidi Anne BRINKERHOFF, born 5Oct 1987 in St. George, Washington, Utah. 10446.Fiii.Jamie Lynn BRINKERHOFF, born 5Jul 1989 in St. George, Washington, Utah. 10447.Miv.James Daniel BRINKERHOFF, born 20Nov 1991 in St. George, Washington, Utah. 10448. Kenneth6 BRINKERHOFF (Lenny5, Yvonne4, Joseph3, Lucy2, Mary1) was born 30Dec 1964 in San Antonio, Bexar, Texas. He married Michelle Renee LONG. She was born 25Nov 1963 in Farmington, Saint Francois, Missouri. 10449.Mi.Deuro Adam BRINKERHOFF, born 5Aug 1986 in Salt Lake City, Salt Lake, Utah. 10450.Fii.Ashley Wanda BRINKERHOFF, born 4Feb 1988 in Salt Lake City, Salt Lake, Utah. 10451.Fiii.Megan Necar BRINKERHOFF, born 19Jun 1990 in St. George, Washington, Utah. 10452.Miv.Austin Ray BRINKERHOFF, born 26Jul 1994 in St. George, Washington, Utah. 10453. Arlen Daniel6 BRINKERHOFF (Lenny5, Yvonne4, Joseph3, Lucy2, Mary1) was born 30Sep 1969 in Fort Wainwright, Alaska. He married Brandi Lee BAKER. She was born Sep 1968. 10454.Mi.Michael Bradley BARTON, born 1Apr 1993 in Salt Lake City, Salt Lake, Utah. 10456. Wanda5 WILCOX (Yvonne4, Joseph3, Lucy2, Mary1) was born 17Jul 1945 in Hurricane, Washington, Utah. She married James Prentiss MATTHEWS. + 10457.Fi.Jennifer Lyn MATTHEWS, born 15Sep 1967. 10457. Jennifer Lyn6 MATTHEWS (Wanda5, Yvonne4, Joseph3, Lucy2, Mary1) was born 15Sep 1967. She married Devan SHOPINSKI. 10458.Mi.Andrew Troy SHOPINSKI, born in St. George, Washington, Utah. 10459. Richard Ernest5 WILCOX (Yvonne4, Joseph3, Lucy2, Mary1) was born 26Sep 1948 in Hurricane, Washington, Utah. He married Judy DAVIS. She was born 10Dec 1949 in Boise, Ada, Idaho. 10460.Fi.Juli Lynn WILCOX, born 22Jun 1969 in St. George, Washington, Utah. 10461.Fii.Nicki Ann WILCOX, born 14Sep 1970 in St. George, Washington, Utah. 10462.Miii.Richard Earnest WILCOX, born 23Nov 1971 in St. George, Washington, Utah. 10463.Fiv.Tamra Jo WILCOX, born 26Jun 1973 in St. George, Washington, Utah. 10464.Fv.Katie Beth WILCOX, born 21Jan 1975 in St. George, Washington, Utah. 10465.Mvi.Terence Trinity WILCOX, born 20Nov 1976 in St. George, Washington, Utah. 10466. Stacy5 WILCOX (Yvonne4, Joseph3, Lucy2, Mary1) was born 25Sep 1955 in Hurricane, Washington, Utah. She married Garold F. EWELL. He was born 8Mar 1953 in El Paso, El Paso, Texas. 10467.Mi.Gareth EWELL, born 9Nov 1976 in St. George, Washington, Utah. 10468.Fii.Emily EWELL, born 11Feb 1987 in St. George, Washington, Utah. 10469. Mary Jean Nelson4 MALONEY (Joseph3, Lucy2, Mary1) was born 30Aug 1926 in Virgin, Washington, Utah. She married Wilford Dean WILCOX (See number 10524) 17Mar 1945. He was born 10Mar 1922 in Virgin, Washington, Utah. He is the son of Silas Leslie WILCOX and Bertha Dorinor LEE. 10470.Mi.Jerry Dean WILCOX, born 23May 1950. 10471. Rheuben-Reuben Daniel3 MALONEY (Lucy2, Mary1) was born 11Sep 1893 in Virgin, Washington, Utah. He married Josephine ALBERG. + 10472.Mi.Raymond Alberg MALONEY, born 4Dec 1916. 10476.Mii.Jack MALONEY, born in Virgin, Washington, Utah. 10477.Fiii.Marie MALONEY, born in Virgin, Washington, Utah. 10478.Miv.Allan-Allen MALONEY, born in Virgin, Washington, Utah. 10472. Raymond Alberg4 MALONEY (Rheuben-Reuben3, Lucy2, Mary1) was born 4Dec 1916 in Virgin, Washington, Utah. He married (1) Lula BRINKERHOFF (See number 10504). She was born 14Nov 1922 in Virgin, Washington, Utah. She is the daughter of William Alonzo BRINKERHOFF and Ella May LEE. 10473.Mi.Kendall MALONEY, born 14Mar 1955 in Albuquerque, Bernalillo, New Mexico. 10474.Mii.Nile MALONEY, born 12Mar 1960 in Santa Monica, Los Angeles, California. Raymond married (2) Mrs. Raymond A. MALONEY. 10475.Miii.David Brent MALONEY, born 12Jul 1950 in Logan, Cache, Utah. 10482. John Hurd2 LEE (Mary1) was born 27Mar 1860 in Harmony, Washington, Utah. John died 18Sep 1938 in Cedar City, Iron, Utah, and was buried 20Sep 1938 in Virgin, Washington, Utah. One of John Hurd's earliest recollections was wearing a red dress and his sister, Mariam Leah, a white one, holding hands as they went out on the main street where all the children were lined up to greet Brigham Young on one of his visits to the saints of southern Utah. To buy his first horse, he herded sheep for Seth Johnson. He was only a boy and it was a lonely job. He worked at various jobs throughout his life, farming, ranching, freighting, road construction in Arizona, the sugar factory in northern Utah, and mining at Silver Reef where he had two accidents. He had skill in setting broken bones and nursing. On one occasion when he was returning home from Arizona and arrived in St. George, Utah he learned that his half-brother, Ray, was in town very ill with a broken leg and gangrene infection. John had Ray fire the doctor and they found another one. Then he stayed on to nurse Ray until his leg was healed and he was well again. He was a staunch Republican and served as constable for nine years. He was in Salt Lake City many times and was there when the State split on party lines. When he saw a wax model for the first time, he thought it was real. The first time he met the girl he later married, she mistook him for her brother-in-law, whom she had never met. He had gone on a freighting trip to Mt. Carmel, Utah with a load of fruit. He stopped in front of the home where she was working. She was just returning from town where she had been doing some business. John climbed down from the wagon and handed her a letter from her sister, Eliza. Without waiting to read the letter, she walked up and kissed him. "Aren't you going to drive in and have dinner?" she asked. "Yes, I will, but first open and read your letter." He waited while she did so and was amused to see her face turn scarlet when she learned that he was not her brother-in-law. He drove into the yard, cared for his team and went in to dinner. It was a good beginning for their courtship. He married Martha TITT 27May 1902 in St. George, Washington, Utah. She was born 28May 1878 in Washington, Washington, Utah. She was the daughter of William Case TITT and Elizabeth PINDER. Martha died 29Dec 1912 in Virgin, Washington, Utah, and was buried 31Dec 1912 in Virgin, Washington, Utah. 10483.Mi.Virgil Edward LEE, born 18Feb 1903 in Virgin, Washington, Utah. Virgil did not marry and lived a very quiet life alone, farming either for himself or for others. + 10484.Fii.Vivian LEE, born 11Mar 1905. 10496.Miii.Clarence Bernard LEE, born 6May 1907 in Virgin, Washington, Utah, died in childhood 24Apr 1910. + 10497.Miv.Buryl Emanuel LEE, born 8Aug 1909. 10484. Vivian3 LEE (John2, Mary1) was born 11Mar 1905 in Virgin, Washington, Utah. Vivian's parents were early pioneers of southern Utah and she was their only girl. They lived in Virgin and she attended school there. She did her share of the home work very early in life and when her mother died she was a great help to her father and brothers. By the time she was sixteen she was sufficiently skilled in house work to take over the care of the home. When she was nineteen she met Joseph Owen Barton on a blind date. After their marriage and several moves, they settled permanently in Cedar City, Utah. She married Joseph Owen BARTON 31Dec 1924 in St. George, Washington, Utah. He was born in Paragonah, Iron, Utah. He was the son of Joseph Wesley BARTON and Margaret Ann OWENS. Joseph died 8Feb 1953 in Cedar City, Iron, Utah, and was buried 11Feb 1953 in Cedar City, Iron, Utah. + 10485.Fi.Alta BARTON, born 30Oct 1925. + 10490.Fii.Lolene BARTON, born 5Mar 1927. 10494.Miii.Joseph Lee BARTON, born 22Sep 1937 in Cedar City, Iron, Utah. 10495.Fiv.Patricia M. BARTON, born 8Aug 1939 in Cedar City, Iron, Utah. 10485. Alta4 BARTON (Vivian3, John2, Mary1) was born 30Oct 1925 in Cedar City, Iron, Utah. She married Keith Wayne CARRINGTON 10Jun 1944 in Stockton, Tooele, Utah. He was born 26Feb 1924 in Stockton, Tooele, Utah. He is the son of John CARRINGTON and Myrtle REMINGTON. 10486.Fi.Kathleen CARRINGTON, born 9Mar 1947 in Tooele, Tooele, Utah. 10487.Mii.Keith Wayne CARRINGTON, born 15Jun 1948 in Tooele, Tooele, Utah. 10488.Fiii.Jerrald Allen CARRINGTON, born 8May 1951 in Tooele, Tooele, Utah. 10489.Fiv.Jo Anne CARRINGTON, born 6Feb 1956 in Murray, Salt Lake, Utah. 10490. Lolene4 BARTON (Vivian3, John2, Mary1) was born 5Mar 1927 in Cedar City, Iron, Utah. She married Jay Boyd MUIR 3Dec 1949 in Cedar City, Iron, Utah. He was born 29Aug 1924 in Beaver, Beaver, Utah. He is the son of Edward W. MUIR and Mable HANCOCK. 10491.Fi.Lynn K. MUIR, born 20Feb 1951 in Cedar City, Iron, Utah. 10492.Mii.Michael Neil MUIR, born 9Aug 1953 in Cedar City, Iron, Utah. 10493.Miii.Mark Emory MUIR, born 21Oct 1954 in Cedar City, Iron, Utah. 10497. Buryl Emanuel3 LEE (John2, Mary1) was born 8Aug 1909 in Virgin, Washington, Utah. He married (1) Zalia FLANIGAN in Salt Lake City, Salt Lake, Utah. She was born 28Sep 1918 in Virgin, Washington, Utah. She was the daughter of David Alma FLANIGAN and Clearinda Malvina STOUT. Zalia died 5Aug 1953 in Ogden, Weber, Utah, and was buried 8Aug 1953 in Clearfield, Davis, Utah. 10498.Fi.Barbara Ann LEE, born 9Sep 1946 in Hurricane, Washington, Utah. 10499.Fii.Vickie Lynn LEE, born 29Feb 1948 in Cedar City, Iron, Utah. 10500.Miii.John David LEE, born 15May 1950 in St. George, Washington, Utah. Buryl married (2) LaDean Louie STRASBURG 29Sep 1954 in Salt Lake City, Salt Lake, Utah. She was born 12Jun 1921 in Highland, Utah, Utah. She is the daughter of Henry Louis STRASBURG and Cora PALMER. 10501. Elisha Squire2 LEE (Mary1) was born 20Jul 1862 in Kanarraville, Iron, Utah. Elisha died 15Mar 1937 in Sparks, Washoe, Nevada, and was buried 18Mar 1937 in Virgin, Washington, Utah. He married (1) Eliza TITT 7Jun 1893 in St. George, Washington, Utah. She was born 6Apr 1867 in Washington, Washington, Utah. She was the daughter of William Case TITT and Elizabeth PINDER. Eliza died 13Nov 1921 in Virgin, Washington, Utah, and was buried in Virgin, Washington, Utah. + 10502.Fi.Ella May LEE, born 16Apr 1894. + 10515.Fii.Bertha Dorinor LEE, born 10Jan 1896. 10536.Miii.William Wallace LEE, born 5Mar 1898 in Virgin, Washington, Utah, died in infancy 18Mar 1898. + 10537.Miv.Evan Squire LEE, born 13Feb 1899. 10547.Mv.Leland LEE, born 6Aug 1901 in Virgin, Washington, Utah. 10548.Mvi.Oran-Orien-Orian LEE, born 8Nov 1904 in Virgin, Washington, Utah, died in infancy 21Nov 1904 in Virgin, Washington, Utah. 10549.Mvii.Lester Vernon LEE, born 10Dec 1905 in Virgin, Washington, Utah. 10550.Mviii.Joseph LaGrand LEE, born 20Jul 1908 in Virgin, Washington, Utah, died in infancy 9Oct 1908. + 10551.Mix.James Willard LEE, born 22Sep 1909, died 15Jul 1984. + 10601.Fx.Alice Pearl LEE, born 4Apr 1912. 10669.Mxi.Robert Valentine LEE, born 14Feb 1915 in Virgin, Washington, Utah. Elisha married (2) Lydia J. Beebe HASTINGS Oct 1923. She was born about 1862. 10502. Ella May3 LEE (Elisha2, Mary1) was born 16Apr 1894 in Virgin, Washington, Utah. She married William Alonzo BRINKERHOFF 12Jun 1921 in Junction, Piute, Utah. He was born 7Feb 1891 in Kanab, Kane, Utah. He is the son of Samuel William BRINKERHOFF and Armitta Kate ROBINSON. 10503.Fi.Clara Mae BRINKERHOFF, born 25Mar 1921 in Junction, Piute, Utah. She married Duward SPENDLOVE 1Apr 1947. + 10504.Fii.Lula BRINKERHOFF, born 14Nov 1922. 10509.Miii.Chister-Chester W. BRINKERHOFF, born 17Aug 1924 in Virgin, Washington, Utah. He married Delora SPENDLOVE 6Nov 1946. 10510.Miv. ________ BRINKERHOFF, born 3Dec 1926 in Virgin, Washington, Utah, died in infancy 3Dec 1926 in Virgin, Washington, Utah. 10511.Fv.Vonda BRINKERHOFF, born 26Oct 1927 in Virgin, Washington, Utah, died in infancy 30Oct 1927 in Virgin, Washington, Utah. 10512.Fvi.Verna BRINKERHOFF, born 26Oct 1927 in Virgin, Washington, Utah. She married Melvin E. BROWN. 10513.Fvii.Lila Kate BRINKERHOFF, born 13Oct 1933 in Virgin, Washington, Utah, died in infancy 14Apr 1934. 10514.Mviii.Kay Lee BRINKERHOFF, born 16Aug 1936 in Virgin, Washington, Utah. He married Sharon MORRIS 8Nov 1956 in Salt Lake City, Salt Lake, Utah. 10504. Lula4 BRINKERHOFF (Ella3, Elisha2, Mary1) was born 14Nov 1922 in Virgin, Washington, Utah. She married (1) Thomas T. THOMPSON 29Jan 1943. 10505.Mi.Nancy Lou THOMPSON, born 9Aug 1943 in Glendale, Los Angeles, California. 10506.Mii.John W. THOMPSON, born 14Oct 1945 in Hurricane, Washington, Utah. 10507.Miii.James Lee THOMPSON, born 18Jan 1950 in Richland, Benton, Washington. 10508.Fiv.Ruth THOMPSON, born 27Aug 1954 in Cedar City, Iron, Utah. Lula married (2) Raymond Alberg MALONEY (See number 10472). He was born 4Dec 1916 in Virgin, Washington, Utah. He is the son of Rheuben-Reuben Daniel MALONEY and Josephine ALBERG. See number 442 listed above. 10515. Bertha Dorinor3 LEE (Elisha2, Mary1) was born 10Jan 1896 in Virgin, Washington, Utah. She married Silas Leslie WILCOX 18Jun 1917 in St. George, Washington, Utah. He was born 26Jun 1898 in Lehi, Utah, Utah. He is the son of Silas Henry WILCOX and Janetty Mae MATTHEWS. + 10516.Fi.Winona WILCOX, born 19Jun 1918. + 10520.Mii.Silas Lee WILCOX, born 18Mar 1920. + 10524.Miii.Wilford Dean WILCOX, born 10Mar 1922. + 10525.Miv.Vernon WILCOX, born 13Jul 1925. + 10528.Mv.Max Dwain WILCOX, born 12Oct 1928. + 10531.Fvi.Joyce WILCOX, born 22Mar 1931. 10535.Fvii.Louise WILCOX, born 14Nov 1934 in Virgin, Washington, Utah. She married Adrian SQUIRE 31Jan 1951. 10516. Winona4 WILCOX (Bertha3, Elisha2, Mary1) was born 19Jun 1918 in Virgin, Washington, Utah. She married Bertrand RUESCH. 10517.Mi.Lester D. RUESCH, born 7Sep 1937 in Virgin, Washington, Utah. 10518.Fii.Myrna Rae RUESCH, born 28Apr 1940 in Kanab, Kane, Utah. 10519.Miii.David Bertrand RUESCH, born 26Jul 1943 in North Hollywood, Los Angeles, California. 10520. Silas Lee4 WILCOX (Bertha3, Elisha2, Mary1) was born 18Mar 1920 in Virgin, Washington, Utah. He married Anna SPENDLOVE 22Aug 1941. 10521.Mi.Dennis Lee WILCOX, born 14Jul 1942 in Virgin, Washington, Utah. 10522.Fii.Gary WILCOX, born 5Feb in Hurricane, Washington, Utah. 10523.Fiii.Shirlene WILCOX, born 4Nov 1952 in Cedar City, Iron, Utah. 10524. Wilford Dean4 WILCOX (Bertha3, Elisha2, Mary1) was born 10Mar 1922 in Virgin, Washington, Utah. He married Mary Jean Nelson MALONEY (See number 10469) 17Mar 1945. She was born 30Aug 1926 in Virgin, Washington, Utah. She is the daughter of Joseph Smith MALONEY and Ruth NELSON. See number 439 listed above. 10525. Vernon4 WILCOX (Bertha3, Elisha2, Mary1) was born 13Jul 1925 in Virgin, Washington, Utah. He married Velda SNYDER 30Jul 1947. 10526.Mi.Francis WILCOX, born 31Mar 1948 in Hurricane, Washington, Utah. 10527.Mii.Michael Vernon WILCOX, born 14Feb 1950 in Hurricane, Washington, Utah. 10528. Max Dwain4 WILCOX (Bertha3, Elisha2, Mary1) was born 12Oct 1928 in Virgin, Washington, Utah. He married Dorothy HOLDEN. 10529.Mi.Allen Dean WILCOX, born 17Nov 1950 in Hurricane, Washington, Utah. 10530.Mii.Kelly Leon WILCOX, born 18Sep 1952 in Cedar City, Iron, Utah. 10531. Joyce4 WILCOX (Bertha3, Elisha2, Mary1) was born 22Mar 1931 in Virgin, Washington, Utah. She married Ted F. GUBLER 21May 1949. 10532.Mi.Richard Ted GUBLER, born 7Mar 1950 in Butte, Silver Bow, Montana. 10533.Mii.Stephen Louis GUBLER, born 13Sep 1951 in St. George, Washington, Utah. 10534.Miii.Clarence Leslie GUBLER, born 26Sep 1955 in St. George, Washington, Utah. 10537. Evan Squire3 LEE (Elisha2, Mary1) was born 13Feb 1899 in Virgin, Washington, Utah. He married Lillian May BARNEY 5May 1921. She was born 10Apr 1904 in Dempsey, Idaho. She is the daughter of Joseph BARNEY and Etta HIGGINS. + 10538.Fi.Thora LEE, born 24May 1922. 10542.Mii.Mirlin Evan LEE, born 7Mar 1924 in Virgin, Washington, Utah. He married Pauline EARL 6Jun 1946 in St. George, Washington, Utah. She was the daughter of Niles J. EARL and Minerva DALTON. + 10543.Miii.Budd Donald LEE, born 26Dec 1927. 10538. Thora4 LEE (Evan3, Elisha2, Mary1) was born 24May 1922 in Virgin, Washington, Utah. She married Reed SPENDLOVE 12Nov 1940. He was born 14Jun 1919 in Virgin, Washington, Utah. He is the son of Charles SPENDLOVE and Sarah HARDY. 10539.Mi.Dallen Reed SPENDLOVE, born 20Feb 1943 in Virgin, Washington, Utah. 10540.Mii.Spencer SPENDLOVE, born 2Aug 1944 in Cedar City, Iron, Utah. 10541.Fiii.Tanna SPENDLOVE, born 30Sep 1947 in Hurricane, Washington, Utah. 10543. Budd Donald4 LEE (Evan3, Elisha2, Mary1) was born 26Dec 1927 in Virgin, Washington, Utah. He married Jessie Ellen RUESCH 10Oct 1947. She was born 31Aug 1928 in Springdale, Washington, Utah. She is the daughter of Howard RUESCH and Susan CRAWFORD. 10544.Mi.Allen Budd LEE, born 28May 1948 in Hurricane, Washington, Utah. 10545.Fii.LaRena LEE, born 20May 1950 in Cedar City, Iron, Utah. 10546.Miii.Clayton Don LEE, born 19Feb 1963 in Cedar City, Iron, Utah. He married Laurie Lee McMAHON. She was born 1Feb 1961 in Salt Lake City, Salt Lake, Utah. 10551. James Willard3 LEE (Elisha2, Mary1) was born 22Sep 1909 in Virgin, Washington, Utah. James died 15Jul 1984. He married Mildred SPENDLOVE 20Jun 1938 in Virgin, Washington, Utah. She was born 14May 1921 in Virgin, Washington, Utah. She is the daughter of Karl Ervin SPENDLOVE and Lenora BARNEY. + 10552.Fi.Eliza Jane LEE, born 5Aug 1939. + 10559.Fii.Lenora June LEE, born 6Mar 1941. + 10564.Fiii.Mildred Vondell LEE, born 19Aug 1943. + 10573.Miv.Jay Willard LEE, born 26Jan 1945. + 10582.Fv.Linda LEE, born 26Jul 1946. + 10590.Mvi.Lawrence Karl LEE, born 1Jan 1954. + 10594.Fvii.Viola LEE, born 19Apr 1956. 10552. Eliza Jane4 LEE (James3, Elisha2, Mary1) was born 5Aug 1939 in Virgin, Washington, Utah. She married James Kent HAMBY 17Sep 1960. 10553.Mi.Kris Lee HAMBY, born 10Jul 1961. 10554.Fii.Lisa HAMBY, born 13Nov 1962. 10555.Fiii.Teresa HAMBY, born 16Oct 1964. 10556.Fiv.Cynthia HAMBY, born 28Dec 1969. 10557.Mv.Travis James HAMBY, born 24Feb 1971. 10558.Fvi.Rebecca HAMBY, born 8Sep 1972. 10559. Lenora June4 LEE (James3, Elisha2, Mary1) was born 6Mar 1941 in Virgin, Washington, Utah. She married Jerold William SCHAUB 3Mar 1962. 10560.Mi.Charles William SCHAUB, born 23Jan 1963. 10561.Mii.James Randall SCHAUB, born 2Jun 1964. 10562.Fiii.Jodine Lee SCHAUB, born 7Jul 1965. 10563.Fiv.Jessica June SCHAUB, born 19Mar 1969. 10564. Mildred Vondell4 LEE (James3, Elisha2, Mary1) was born 19Aug 1943 in Virgin, Washington, Utah. She married Garry Dean BARRICK 18Nov 1961. 10565.Fi.Joanna Kay BARRICK, born 11Aug 1962. 10566.Fii.Jan Lee BARRICK, born 5Aug 1964. 10567.Fiii.Sharon BARRICK, born 23Jan 1966. 10568.Fiv.Gail BARRICK, born 20Nov 1969. 10569.Fv.Jackie BARRICK, born 4Jul 1971. 10570.Fvi.Shanea Lee BARRICK, born 16Mar 1976. 10571.Fvii.Stephany BARRICK, born 31Oct 1978. 10572.Fviii.Cari Dean BARRICK, born 5Nov 1986. 10573. Jay Willard4 LEE (James3, Elisha2, Mary1) was born 26Jan 1945 in Hurricane, Washington, Utah. He married Cecil Sue THORNTON 11Feb 1972. 10574.Mi.Jayson LaMont LEE, born 24Dec 1972. 10575.Fii.Dena Sue LEE, born 26Jan 1974. 10576.Fiii.Deborah LEE, born 3Apr 1975. 10577.Fiv.Gina Marie LEE, born 2Nov 1976. 10578.Mv.James Bernard LEE, born 16Jun 1978. 10579.Fvi.Mildred Joy LEE, born 9Jun 1980. 10580.Fvii.Alicia LEE, born 11Aug 1982. 10581.Fviii.Loraine LEE, born 26Sep 1984. 10582. Linda4 LEE (James3, Elisha2, Mary1) was born 26Jul 1946 in Cedar City, Iron, Utah. She married Dan Edward HOWARD 18Mar 1967. 10583.Fi.Wendy Lee HOWARD, born 1May 1969. 10584.Mii.Ronn Lee HOWARD, born 12Oct 1970. 10585.Fiii.Suzanne Lee HOWARD, born 13Oct 1972. 10586.Fiv.Dianna Lee HOWARD, born 4May 1974. 10587.Fv.Angela Lee HOWARD, born 2Aug 1977. 10588.Fvi.Dana Lee HOWARD, born 17Dec 1979. 10589.Mvii.Lloyd Lee HOWARD, born 20Jan 1983. 10590. Lawrence Karl4 LEE (James3, Elisha2, Mary1) was born 1Jan 1954 in Hurricane, Washington, Utah. He married (1) Kerma Jeanne Hinch CLIFF 6Dec 1975. 10591.Fi.Janell Patricia LEE, born 2Jun 1975. 10592.Fii.Nicole LEE, born 26Jul 1976. Lawrence married (2) Sharon LEE 7Mar 1978. 10593.Fiii.Stacy Ellen LEE, born 28Dec 1978. 10594. Viola4 LEE (James3, Elisha2, Mary1) was born 19Apr 1956 in St. George, Washington, Utah. She married Cecil Ray WARD 19Nov 1976. 10595.Fi.Shauna Lee WARD, born 26Sep 1977. 10596.Fii.Elizabeth Daye WARD, born 8Mar 1979. 10597.Fiii.Christina Lin WARD, born 7May 1981. 10598.Fiv.Kathern Marie WARD, born 1May 1983. 10599.Fv.Victoria Ella WARD, born 2May 1986. 10600.Fvi.Veronica Ann WARD, born 30Apr 1993. 10601. Alice Pearl3 LEE (Elisha2, Mary1) was born 4Apr 1912 in Virgin, Washington, Utah. She married Clyde LeRoy SECKINGER 22Sep 1934 in Kanab, Kane, Utah. He was born 1Jun 1903 in Edgerton, Johnson, Kansas. He was the son of Eugene Joseph SECKINGER and Venila Annette McMILLEN. Clyde died 28May 1981 in Overton, Clark, Nevada, and was buried 1Jun 1981 in Logandale, Clark, Nevada. + 10602.Fi.Alice Janet SECKINGER, born 9Jun 1935. + 10620.Fii.Clydie Jane SECKINGER, born 11Nov 1936. + 10646.Miii.LeRoy "J" SECKINGER, born 6Feb 1939. + 10654.Miv.Steven "K" SECKINGER, born 2Aug 1943. 10656.Mv.Simmon Ray SECKINGER, born 2Aug 1943 in Overton, Clark, Nevada, died in infancy 2Aug 1943 in Overton, Clark, Nevada. + 10657.Fvi.Penny Lou SECKINGER, born 8Jan 1950. + 10665.Fvii.Deanna SECKINGER, born 7Nov 1956. 10602. Alice Janet4 SECKINGER (Alice3, Elisha2, Mary1) was born 9Jun 1935 in Logandale, Clark, Nevada. She married Robert Glen HUTCHINGS 27Jun 1958. He was born 7Jan 1934 in Twin Falls, Twin Falls, Idaho. He is the son of LaMar Benson HUTCHINGS and Georgia Ann BRAY. + 10603.Mi.David Glen HUTCHINGS, born 27May 1959. + 10607.Mii.Darryl Brent HUTCHINGS, born 12Aug 1960. + 10611.Miii.Duane Lee HUTCHINGS, born 2Feb 1963. + 10617.Fiv.Julie Ann HUTCHINGS, born 23Feb 1967. 10603. David Glen5 HUTCHINGS (Alice4, Alice3, Elisha2, Mary1) was born 27May 1959 in Las Vegas, Clark, Nevada. He married (1) Denise Marlene MULLIGAN 2Jun 1984 in Las Vegas, Clark, Nevada; they divorced. She was born 29Jul 1961 in Goldsboro, Wayne, North Carolina. She is the daughter of Harold Michael MULLIGAN and Mary Frances "Pat" WILSHIRE. David married (2) Belinda Sue SHROPSHIRE 23Dec 1991 in Las Vegas, Clark, Nevada. She was born 7Apr 1963 in Roswell, Chaves, New Mexico. She is the daughter of James Arthur SHROPSHIRE and Billie Virginia CARMICHAEL. 10604.Mi.David Glen HUTCHINGS, Jr., born 22May 1992 in Las Vegas, Clark, Nevada. 10605.Fii.Vanessa Deann Nicole HUTCHINGS, born 18Oct 1994 in Las Vegas, Clark, Nevada. 10606.Miii.Vincent Charles Fred HUTCHINGS, born 5Dec 1995 in Las Vegas, Clark, Nevada. 10607. Darryl Brent5 HUTCHINGS (Alice4, Alice3, Elisha2, Mary1) was born 12Aug 1960 in Las Vegas, Clark, Nevada. He married Birgit Aileen GROSH 15Jun 1991 in Mesa, Maricopa, Arizona. She was born 21Jan 1964 in Wiesbaden, Hesse, Germany. She is the daughter of Karl Hermann Eduard GROSH and Marlies Alice BRAUNE. 10608.Mi.Matthew Brent HUTCHINGS, born 25Oct 1992 in Las Vegas, Clark, Nevada. 10609.Mii.Samuel Robert HUTCHINGS, born 7Dec 1994 in Henderson, Clark, Nevada. 10610.Miii.Thomas Andrew HUTCHINGS, born 23Jun 1997 in Las Vegas, Clark, Nevada. 10611. Duane Lee5 HUTCHINGS (Alice4, Alice3, Elisha2, Mary1) was born 2Feb 1963 in Las Vegas, Clark, Nevada. He married Isabel QUINTANA 14Feb 1986 in Las Vegas, Clark, Nevada. She was born 29Aug 1965 in El Paso, El Paso, Texas. She is the daughter of Vincente Cano QUINTANA and Juanita ALVA. 10612.Mi.Spencer Darryl HUTCHINGS, born 16Dec 1986 in Las Vegas, Clark, Nevada. 10613.Mii.Jordan Parker HUTCHINGS, born 21Oct 1989 in Henderson, Clark, Nevada. 10614.Miii.Preston Lorne HUTCHINGS, born 31May 1991 in Las Vegas, Clark, Nevada. 10615.Fiv.Savannah Nicole HUTCHINGS, born 23May 1996 in Las Vegas, Clark, Nevada. 10616.Fv.Savannah Nicole HUTCHINGS, born 23May 1996 in Las Vegas, Clark, Nevada. 10617. Julie Ann5 HUTCHINGS (Alice4, Alice3, Elisha2, Mary1) was born 23Feb 1967 in Las Vegas, Clark, Nevada. She married Steven L. RIRIE 25Feb 1989 in St. George, Washington, Utah. He was born 29Nov 1959 in Hamilton, Ravalli, Montana. He is the son of Wayne J. RIRIE and Barbara COOK. 10618.Fi.Jessica Elise RIRIE, born 30Sep 1990 in Henderson, Clark, Nevada. 10619.Fii.Sarah Elizabeth RIRIE, born 21Apr 1995 in Henderson, Clark, Nevada. 10620. Clydie Jane4 SECKINGER (Alice3, Elisha2, Mary1) was born 11Nov 1936 in St. George, Washington, Utah. She married Arthur Emery CLAYSON 23Mar 1956. + 10621.Mi.Calvin Arthur CLAYSON, born 1957. + 10624.Fii.Cathleen CLAYSON, born 1959. + 10627.Miii.Alan LeRoy CLAYSON, born 1960. 10633.Fiv.Lorna Jane CLAYSON, born 1961. + 10634.Fv.Rosalie CLAYSON, born 1963. + 10639.Mvi.Jesse Eugene CLAYSON, born 1965. 10644.Mvii.Aaron Lee CLAYSON, born 1975. 10645.Mviii.Peter Leon CLAYSON, born 1975. 10621. Calvin Arthur5 CLAYSON (Clydie4, Alice3, Elisha2, Mary1) was born 1957. He married Colleen Rae EMPERT. 10622.Mi.Christopher Michael CLAYSON, born 1980. 10623.Mii.Adam Monroe CLAYSON, born 1984. 10624. Cathleen5 CLAYSON (Clydie4, Alice3, Elisha2, Mary1) was born 1959. She married Bryan Forrest SMITH. 10625.Mi.Nathaniel Forrest SMITH, born 1981. 10626.Fii.Arianne Cathleen SMITH, born 1987. 10627. Alan LeRoy5 CLAYSON (Clydie4, Alice3, Elisha2, Mary1) was born 1960. He married Beth Rhoda GILLIAM. 10628.Fi.Rachael Marie CLAYSON, born 1986. 10629.Fii.Crystal Rose CLAYSON, born 1988. 10630.Fiii.Anne Cathleen CLAYSON, born 1990. 10631.Fiv.Laurel Jane CLAYSON, born 1993. 10632.Mv.Abraham Alroy CLAYSON, born 1995. 10634. Rosalie5 CLAYSON (Clydie4, Alice3, Elisha2, Mary1) was born 1963. She married Richard Bradley CRITES. 10635.Mi.Caleb Richard CRITES, born 1991. 10636.Fii.Emma Jo CRITES, born 1993. 10637.Fiii.Aubrey Jane CRITES, born Apr 1996 in Ridgecrest, Kern, California. 10638.Miv.Nathan Emery CRITES, born 21May 1998 in Santa Clarita, California. 10639. Jesse Eugene5 CLAYSON (Clydie4, Alice3, Elisha2, Mary1) was born 1965. He married Karen Sue STEELE. 10640.Fi.Christina Maureen CLAYSON, born 1990. 10641.Mii.Emery Eugene CLAYSON, born 1992. 10642.Fiii.Abigail Violet CLAYSON, born 5Jun 1996 in Ridgecrest, Kern, California. 10643.Miv.William Brunt CLAYSON, born 18Mar 1999 in Ridgecrest, Kern, California. 10646. LeRoy "J"4 SECKINGER (Alice3, Elisha2, Mary1) was born 6Feb 1939 in Las Vegas, Clark, Nevada. He married (1) Patricia Marie HARRIS 5Jun 1958 in Las Vegas, Clark, Nevada. She was born 12Oct 1940 in San Francisco, San Francisco, California. She is the daughter of James William HARRIS and Patricia KAISER. + 10647.Mi.Vincent Lee SECKINGER, born 14Mar 1959, died 19Feb 1995. + 10650.Fii.Leisa-Lisa Marie SECKINGER, born 20Jul 1962. LeRoy married (2) Dolores HEATH 11Aug 1966 in Las Vegas, Clark, Nevada. She was born 2Feb 1942 in Overton, Clark, Nevada. She is the daughter of Richard HEATH and Dorothy FAULKERSON. 10653.Fiii.Lorrie Lee SECKINGER, born 14Jul 1968 in Fresno, Fresno, California. She married John BIEDERMAN 31Aug 1991. LeRoy married (3) Delores Florence MAYE 15Nov 1980 in Overton, Clark, Nevada. She was born 17Mar 1941 in Pound, Marinette, Wisconsin. She is the daughter of Thomas M. MAYE and Helen BORYLA. 10647. Vincent Lee5 SECKINGER (LeRoy4, Alice3, Elisha2, Mary1) was born 14Mar 1959 in Las Vegas, Clark, Nevada. Vincent died 19Feb 1995. He married Tanya MORGAN 6Mar 1986 in Petaluma, Sonoma, California. She was born 22May 1961 in Sacramento, Sacramento, California. She is the daughter of Frank MORGAN and Tomiko IMAZAKI. 10648.Fi.Tatyanna Marie SECKINGER, born 29May 1987 in Fall River Mills, Shasta, California. 10649.Mii.LeRoy James SECKINGER, born 28Jul 1988 in Fall River Mills, Shasta, California. 10650. Leisa-Lisa Marie5 SECKINGER (LeRoy4, Alice3, Elisha2, Mary1) was born 20Jul 1962 in Las Vegas, Clark, Nevada. She married Eduardo Enrique RODRIGUEZ 7May 1984 in Las Vegas, Clark, Nevada. He was born 25Oct 1960 in Juarez, Mexico. He is the son of Tereso RODRIGUEZ and Blanca Flor ISASSI. 10651.Fi.Renae Deanna RODRIGUEZ, born 23Feb 1989 in Poway, San Diego, California. 10652.Mii.Nicolas Joel Enrique RODRIGUEZ, born 30Nov 1992 in Poway, San Diego, California. 10654. Steven "K"4 SECKINGER (Alice3, Elisha2, Mary1) was born 2Aug 1943 in Overton, Clark, Nevada. He married (1) Priscilla Susan COX 17Jun 1966. Steven married (2) Winona FAUGHT 1976. Steven married (3) Marian BASQUEZ 2Jul 1977 in Searchlight, Clark, Nevada. She was born 11Jun 1948 in Selma, Fresno, California. She is the daughter of LeVoy BASQUEZ and Lorraine G. RITTENHOUSE. 10655.Mi.Reno Kay SECKINGER, born 22Jun 1981 in Las Vegas, Clark, Nevada. 10657. Penny Lou4 SECKINGER (Alice3, Elisha2, Mary1) was born 8Jan 1950 in Las Vegas, Clark, Nevada. She married (1) Wallace Neil RICHARDSON, Jr. 17Aug 1968 in Logandale, Clark, Nevada. He was born 7Mar 1948 in Milford, Iron, Utah. He is the son of Wallace Neil RICHARDSON, Sr. and LaBerta CORBRIDGE. + 10658.Fi.Vickie Lynn RICHARDSON, born 9Jul 1969. + 10662.Mii.Martin Bradley RICHARDSON, born 5Feb 1972. Penny married (2) Glen E. BRAY Mar 1985. Penny married (3) Garyl Duane SMITH 12Dec 1986 in Carson City, Carson City, Nevada. He was born 22May 1946 in Heber City, Wasatch, Utah. He is the son of Roy Blackburn SMITH and Minnie HENRIE. 10658. Vickie Lynn5 RICHARDSON (Penny4, Alice3, Elisha2, Mary1) was born 9Jul 1969 in St. George, Washington, Utah. She married Kirk Samuel DEMILLE 7Nov 1987 in Las Vegas, Clark, Nevada. He was born 2Oct 1963 in Las Vegas, Clark, Nevada. He is the son of Hal Lyman DEMILLE and Linda Jane HARVEY. 10659.Fi.Emily Ann DEMILLE, born 14Dec 1988 in Las Vegas, Clark, Nevada. 10660.Mii.Joshua Lyman DEMILLE, born 28Sep 1990 in Las Vegas, Clark, Nevada. 10661.Miii.Zachary Ryan DEMILLE, born 22Dec 1993 in Las Vegas, Clark, Nevada. 10662. Martin Bradley5 RICHARDSON (Penny4, Alice3, Elisha2, Mary1) was born 5Feb 1972 in St. George, Washington, Utah. He married Dawn Valencia CAMERON 10Feb 1990 in Ridgecrest, Kern, California. She was born 28Oct 1969 in Rock Springs, Sweetwater, Wyoming. She is the daughter of Thomas Russell CAMERON and Tessie VALENCIA. 10663.Mi.Thomas Neil RICHARDSON, born 12Mar 1991 in Ridgecrest, Kern, California. 10664.Mii.Cameron Brawley RICHARDSON, born 24Oct 1996 in Ft. Benning, Georgia. 10665. Deanna4 SECKINGER (Alice3, Elisha2, Mary1) was born 7Nov 1956 in Las Vegas, Clark, Nevada. She married Stuart Thomas JOHNSTON 28May 1976 in Mesa, Maricopa, Arizona. He was born 1Mar 1952 in Provo, Utah, Utah. He is the son of Thomas William JOHNSTON and Shirlee HUBBARD. 10666.Fi.Jennifer JOHNSTON, born 1Jan 1977 in Provo, Utah, Utah. 10667.Mii.Stuart Allen JOHNSTON, born 20Jan 1979 in Baton Rouge, East Baton Rouge, Louisiana. 10668.Miii.Christopher Thomas JOHNSTON, born 2Jul 1980 in Baton Rouge, East Baton Rouge, Louisiana. 10670. Mary Sarepta2 LEE (Mary1) was born 23Jul 1865 in Harmony, Washington, Utah. Mary died 23Nov 1897 in Virgin, Washington, Utah. Mary Sarepta went to Salt Lake City, Utah, where she trained at the hospital for a nursing degree, and received further training before leaving the hospital. In the meantime, she had moved her children there where she could be with them when off-duty. Her brother, John, made occasional trips to Salt Lake. On one occasion, he went to visit her and the children. When he returned home he took the children home with him to live with their grandmother in Virgin. When Mary completed her training, she returned to Virgin to care for the sick and deliver the babies up and down the river from Virgin to Springdale. There was not another doctor for miles around. The strenuous schedule proved too much for her strength and she had to discontinue her practice for two years. When she died at age thirty-two, her funeral was well attended by her family and the friends she had helped. Her children had continued to live with their grandmother. She married William Jessie or William Norman BLISS 5Nov 1879. He was born 10 Dec 1859 or 26 Aug 1870 in Kanarraville, Iron, Utah. + 10671.Fi.Nellie BLISS, born 18May 1883, died 13Dec 1953. + 10676.Mii.Jesse William BLISS, born 14May 1885, died 14Jan 1961. 10671. Nellie3 BLISS (Mary2, Mary1) was born 18May 1883 in Toquerville, Washington, Utah. Nellie died 13Dec 1953 in Los Angeles, California. She married Fred G. MORSE Dec 1910. He was born 1880. + 10672.Mi.Carl David MORSE, born 23Apr 1912. 10672. Carl David4 MORSE (Nellie3, Mary2, Mary1) was born 23Apr 1912 in Sacramento, California. He married Elmeda BLISS (See number 10685) 20Apr 1946. She was born 8Jul 1920 in Hurricane, Washington, Utah. She was the daughter of Jesse William BLISS and Ellen Mae GIBSON. Elmeda died 3Oct 1995 in Salem, Oregon. + 10673.Mi.Darryl Hugh MORSE, born 7Apr 1950. 10673. Darryl Hugh5 MORSE (Carl4, Nellie3, Mary2, Mary1) was born 7Apr 1950 in Los Angeles, California. He married Kay Lynn KEMPER 9Aug 1980 in Silverton, Marion, Oregon. She was born 27Apr 1957 in Silverton, Marion, Oregon. 10674.Mi.Andrew James MORSE, born 24Oct 1982 in Salem, Marion, Oregon. 10675.Fii.Karen Renee MORSE, born 28Oct 1985 in Salem, Marion, Oregon. 10676. Jesse William3 BLISS (Mary2, Mary1) was born 14May 1885 in Toquerville, Washington, Utah. Jesse died 14Jan 1961 in St.George, Washington, Utah. He married Ellen Mae GIBSON 18Dec 1907. She was born 23Dec 1886 in Grafton, Washington, Utah. She was the daughter of George Andrew GIBSON and Emily WOOD. Ellen died 14Feb 1972 in Huntington Park, California. + 10677.Mi.Rex Gibson BLISS, born 7Nov 1908. + 10679.Fii.Pherol BLISS, born 14Jan 1911. 10682.Fiii.Roma Sarepta BLISS, born 24Feb 1913, died 22Nov 1929. 10683.Fiv.Pauline BLISS, born 14Jul 1915, died in infancy 7Aug 1915. 10684.Mv.Norman Afton BLISS, born 30Apr 1917. + 10685.Fvi.Elmeda BLISS, born 8Jul 1920, died 3Oct 1995. 10687.Fvii.Nellie BLISS, born 25Oct 1922, died in childhood 26Jul 1927. 10688.Fviii.Coleen BLISS, born 29Oct 1925. 10689.Fix.Sherry BLISS, born 9Jan 1930. 10677. Rex Gibson4 BLISS (Jesse3, Mary2, Mary1) was born 7Nov 1908 in Hurricane, Washington, Utah. He married Mildred EMPY 2Jan 1936. 10678.Mi.Clark Raymond BLISS, born 7Mar 1946. 10679. Pherol4 BLISS (Jesse3, Mary2, Mary1) was born 14Jan 1911. She married Harry ROBINSON 17Jul 1936. 10680.Fi.Judene ROBINSON, born 2Oct 1938. 10681.Fii.Claudyne ROBINSON, born 2May 1939. 10685. Elmeda4 BLISS (Jesse3, Mary2, Mary1) was born 8Jul 1920 in Hurricane, Washington, Utah. Elmeda died 3Oct 1995 in Salem, Oregon. She married (1) Richard Raymond WEIBER. He was born 12Jan 1918. Richard died 27Dec 1943. 10686.Mi.Denis Raymond WEIBER, born 13Jan 1943, died in infancy 22Feb 1943. Elmeda married (2) Carl David MORSE (See number 10672) 20Apr 1946. He was born 23Apr 1912 in Sacramento, California. He is the son of Fred G. MORSE and Nellie BLISS. See number 642 listed above. 10690. Jacob2 LEE (Mary1) was born 28Oct 1868 in Toquerville, Washington, Utah. Jacob died 1Feb 1947 in Virgin, Washington, Utah, and was buried in Virgin, Washington, Utah. Following his marriage, Jacob Lee and his wife lived in Kanosh, Utah, for several years, then moved to Virgin in 1906. They were among the first to file on a homestead on the Lower Kolob Mountain where they engaged in farming. The speakers at his funeral service stated that he was an honest man, that his word could be relied on, and that he was generous with helping others. He married Mary Maria MORREY 24Apr 1901 in Kanosh, Millard, Utah. She was born 23Jul 1874 in Kanosh, Millard, Utah. She was the daughter of John MORREY and Polly Lucina SHEFFIELD. Mary died 21Nov 1951 in Salt Lake City, Salt Lake, Utah, and was buried in Virgin, Washington, Utah. 10691.Fi.Leatha "Jennie" Charlesworth LEE, born 12Jan 1902 in Kanosh, Millard, Utah, died in childhood 8May 1904. + 10692.Fii.Eleanor Charlesworth LEE, born 4Aug 1903. 10701.Miii.Jacob Arthur LEE, born 30Jul 1905 in Kanosh, Millard, Utah, died in infancy 1906. 10702.Miv.Lorrin LEE, born 22Apr 1907 in Virgin, Washington, Utah. 10703.Mv.Ervin LEE, born 23Dec 1908 in Virgin, Washington, Utah. 10704.Mvi.George Devello LEE, born 9Feb 1910/1911 in Virgin, Washington, Utah, died in childhood 24Dec 1920. 10705.Fvii.Lavida LEE, born 21May 1912 in Virgin, Washington, Utah. She married (1) Gordon BLACKNER. Lavida married (2) Carl CRAGUN. + 10706.Mviii.Elword Albert LEE, born 4Dec 1913. 10711.Mix.Wilmer Gilbert LEE, born 3Jul 1915 in Virgin, Washington, Utah. 10692. Eleanor Charlesworth3 LEE (Jacob2, Mary1) was born 4Aug 1903 in Kanosh, Millard, Utah. She married (1) Albert Victor KINNER 17Feb 1925 in Salt Lake City, Salt Lake, Utah. He was born about 5Jun 1900. Albert died 23Mar 1933 in Reno, Washoe, Nevada. + 10693.Mi.Richard Ervin KINNER, born 3Jan 1926. + 10695.Mii.Albert Vernon KINNER, born 22Apr 1927. 10698.Miii.Kenneth Lee KINNER, born 28May 1933 in Sparks, Washoe, Nevada. 10699.Fiv.Eleanor Kay KINNER, born 28May 1933 in Sparks, Washoe, Nevada. She married Guy Leon CURTIS 17Jun 1955. Eleanor married (2) Theodore Thomas LONG 27May 1939 in Sparks, Washoe, Nevada. He was born 20Feb 1904. Theodore died 15Aug 1951, and was buried 21Aug 1951. 10700.Mv.Theodore Thomas LONG, Jr., born 22Feb 1944 in Reno, Washoe, Nevada. Eleanor married (3) George Loris HAMRE 1Jun 1956 in Clearfield, Davis, Utah. 10693. Richard Ervin4 KINNER (Eleanor3, Jacob2, Mary1) was born 3Jan 1926 in Reno, Washoe, Nevada. He married Patricia BUCKHALTER 9Jul 1949 in Reno, Washoe, Nevada. 10694.Mi.Richard Ernest KINNER, born 4Jul 1952 in Reno, Washoe, Nevada. 10695. Albert Vernon4 KINNER (Eleanor3, Jacob2, Mary1) was born 22Apr 1927 in Reno, Washoe, Nevada. He married Ann Marie McDERMOTT 15Aug 1951 in Larchmont, Westchester, New York. 10696.Fi.Jo Ann KINNER, born 28May 1952 in Sacramento, Sacramento, California. 10697.Mii.Albert Vernon KINNER, Jr., born 8Apr 1954 in Columbus, Franklin, Ohio. 10706. Elword Albert3 LEE (Jacob2, Mary1) was born 4Dec 1913 in Virgin, Washington, Utah. He married Roena SPENDLOVE 20Jun 1941 in Virgin, Washington, Utah. She was born 28Apr 1923 in Virgin, Washington, Utah. She is the daughter of Karl Ervin SPENDLOVE and Lenora BARNEY. 10707.Fi.Dorthy Elena LEE, born 15Jul 1942 in La Verkin, Washington, Utah. 10708.Fii.Ardella LEE, born 5Feb 1944 in Virgin, Washington, Utah. 10709.Miii.Elward LEE, born 10Aug 1948 in Hurricane, Washington, Utah. 10710.Miv.Joe Gene LEE, born 23Nov 1953 in Hurricane, Washington, Utah.